This guide provides instructions for installation, help on getting started and extensive documentation of features. 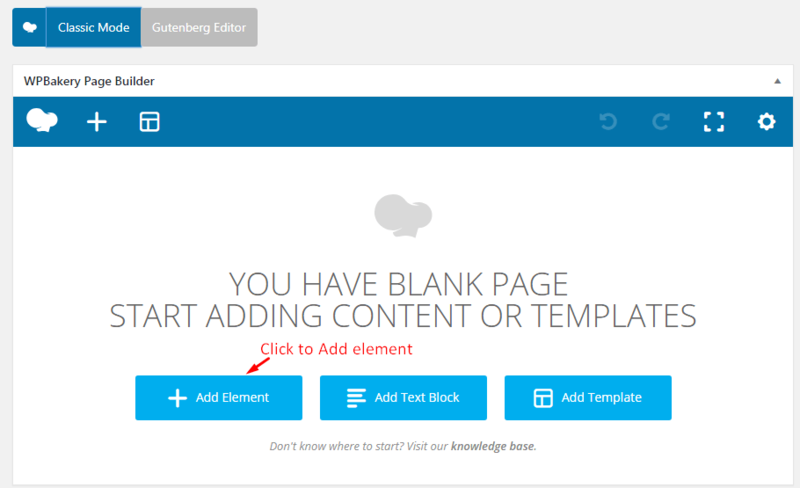 It is recommended you read it thoroughly to fully leverage the Bixbang theme's capabilities. Please also make sure to check out our Video Tutorials as they explain everything covered in here in greater depth. 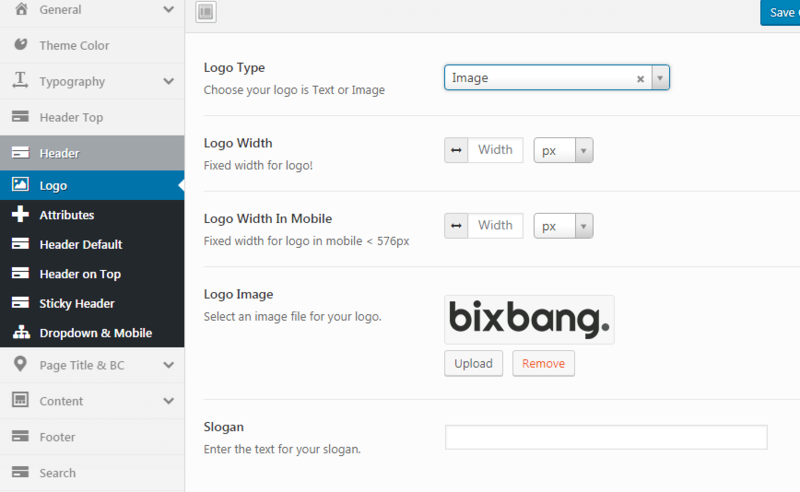 We hope you enjoy building with Bixbang as much as we enjoyed developing it and continue to develop with new features! 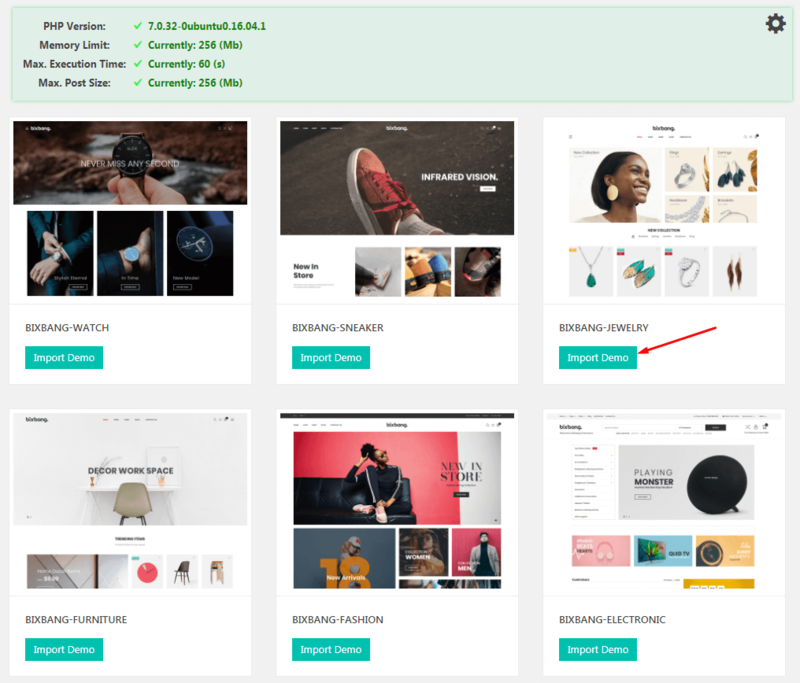 With ThemeForest regular license you are licensed to use this theme to create one single End Product (the final website customized with your content) for yourself or for one client. 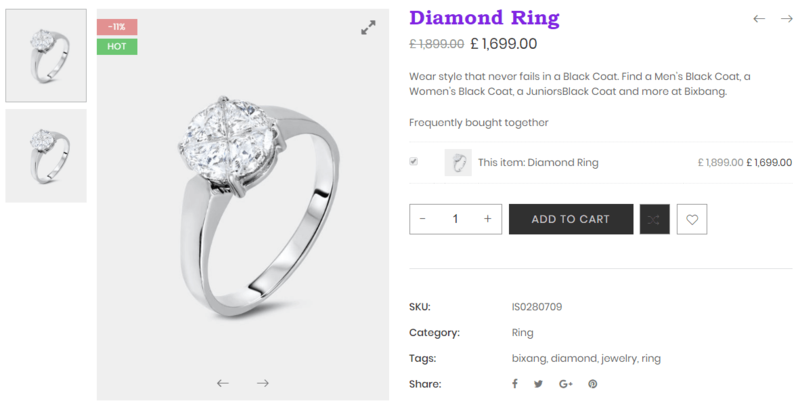 You can create one website (on a single domain) for yourself or for your client. You can then transfer that website to your client for any fee. In that case, the license is also transferred to your client. 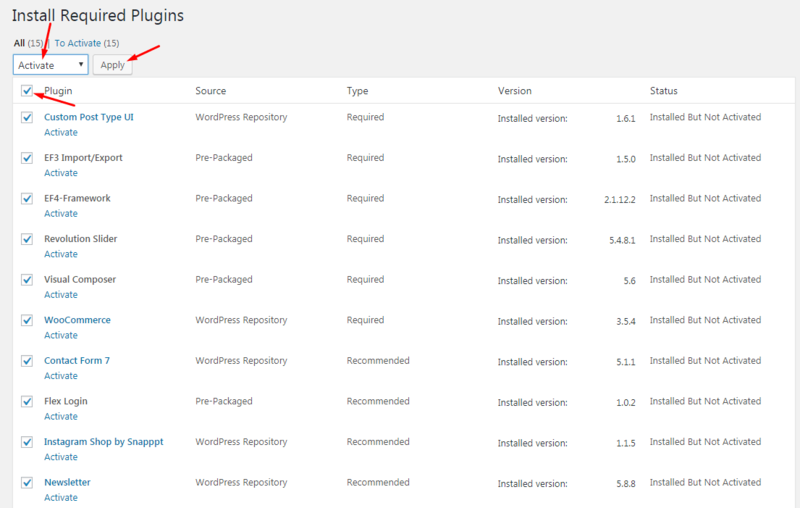 You can install the theme on your test server for testing/development purposes (this installation should not be available to the public). 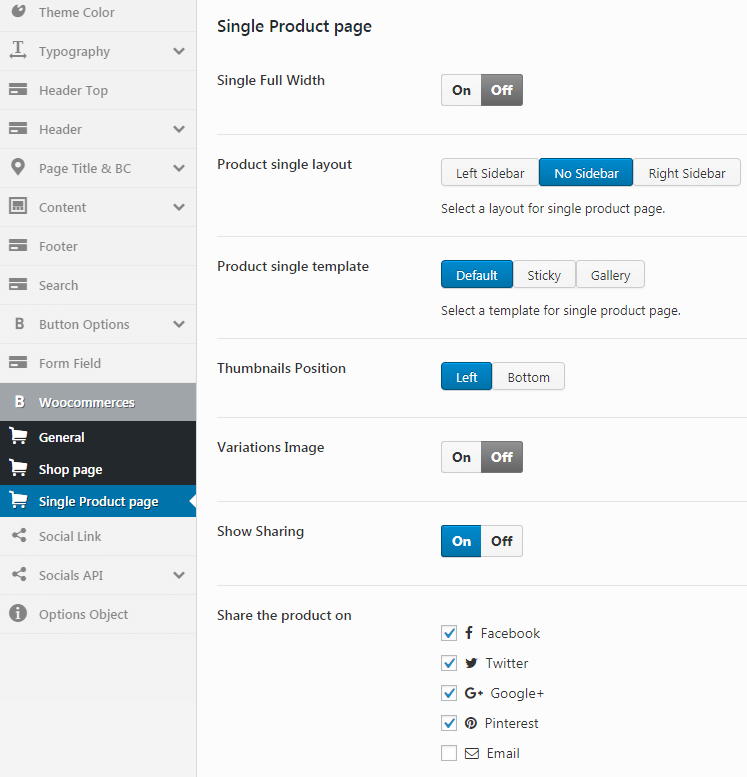 The theme updates for the single End Product (website) are free. 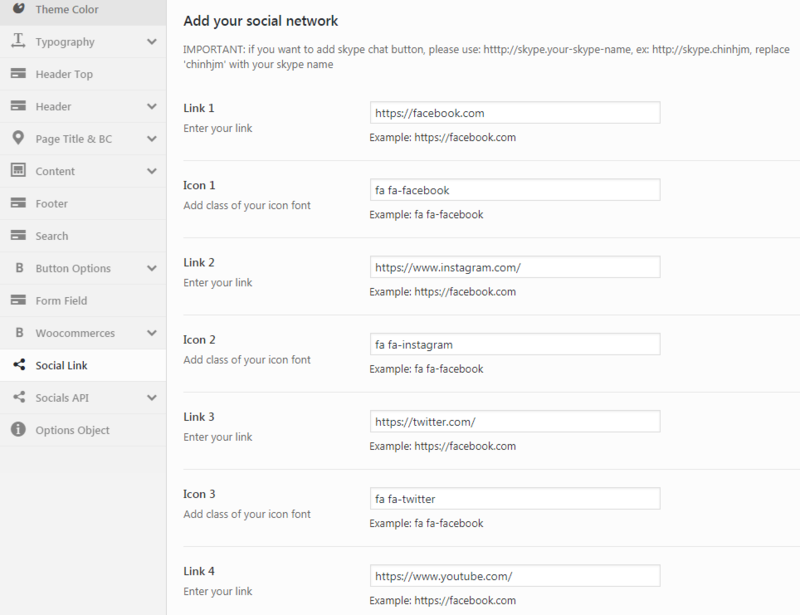 With a single regular license you are not allowed to create multiple websites. For multiple websites you will need multiple regular licenses. 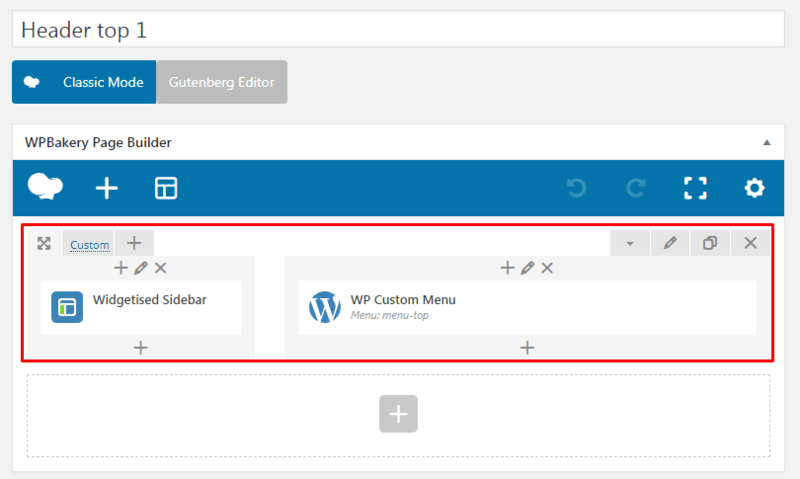 To install this theme you must have a working version of WordPress already installed. 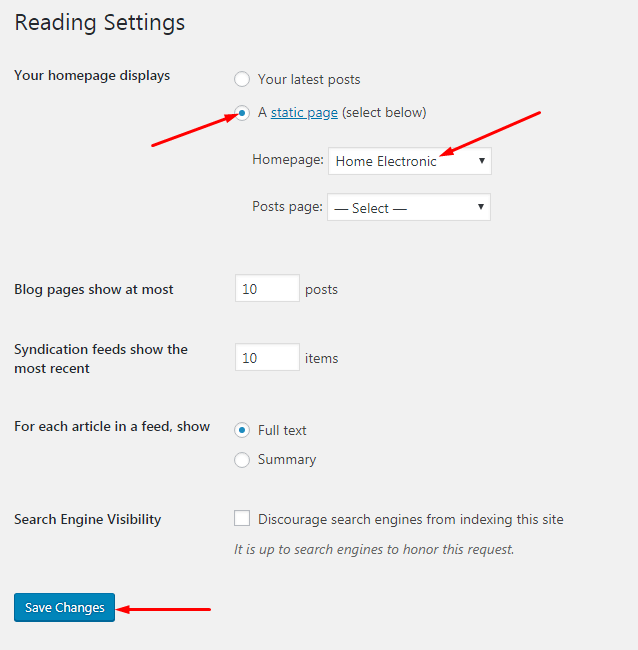 Below are some useful links regarding WordPress information. 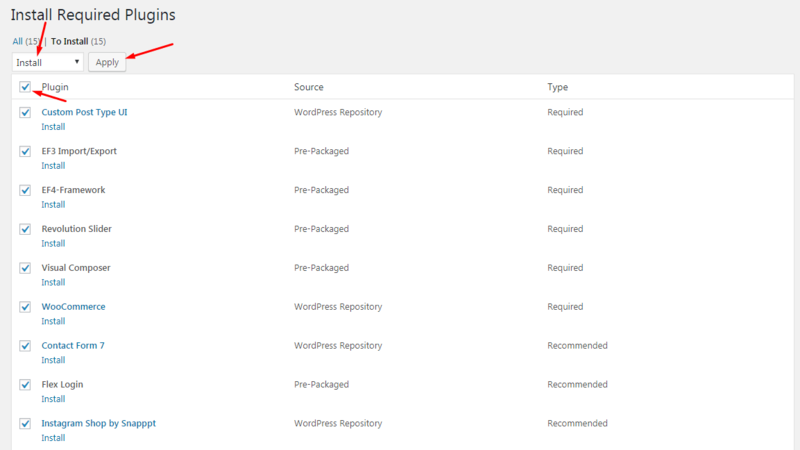 Server requirements is one of the key factors for WordPress and Bixbang theme, it is highly recommended to use a server which supports the following requirements. 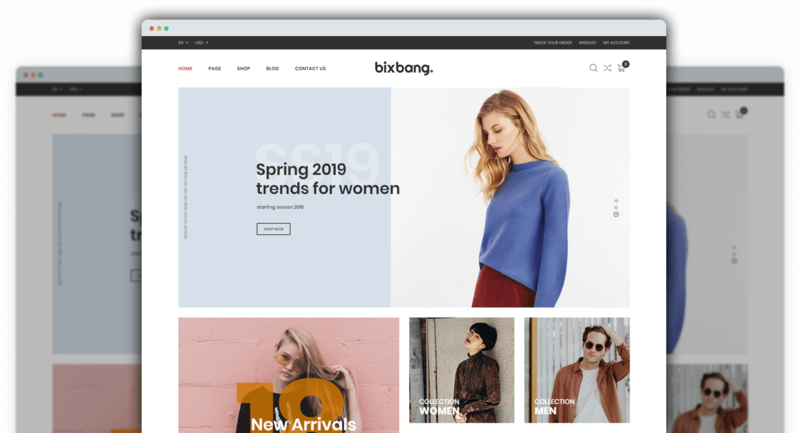 We explain about WordPress, Bixbang, WooCommerce server requirements. 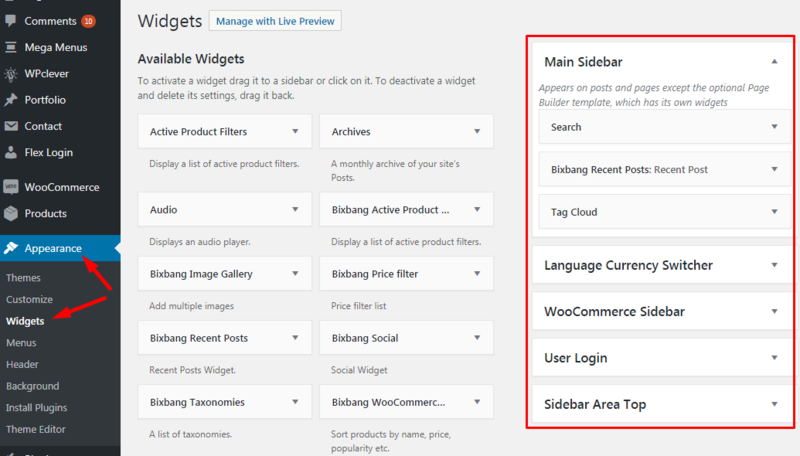 Bixbang support WooCommerce officially so it is best to make sure your server also supports this plugin requirements if you are going to set up a shop.To learn about the plugin server requirements, read the official article. 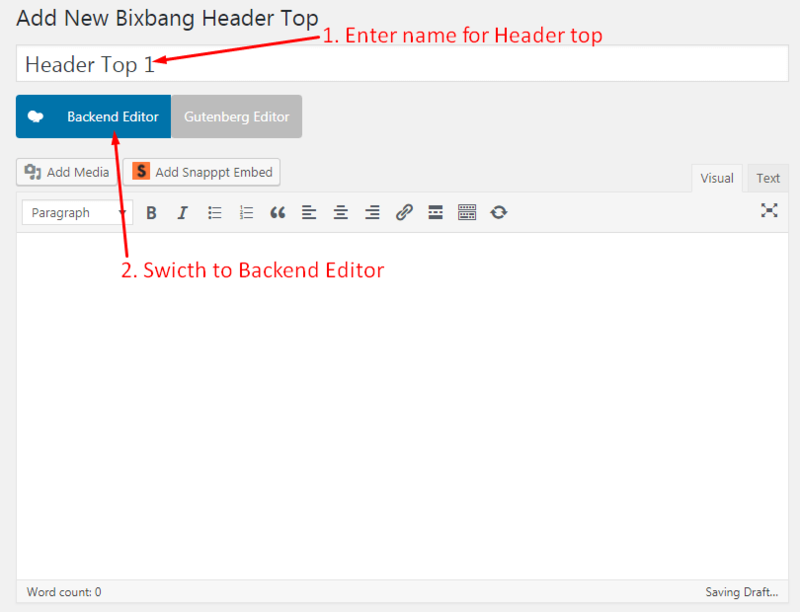 Unzip the download and upload the theme directory /Bixbang/ into your WordPress themes directory /wp-content/themes/. 1. 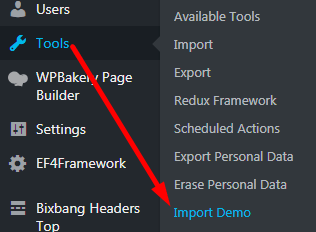 Go to Import Demo on the Tools menu. 2. The Import Demo section will show for you. 3. 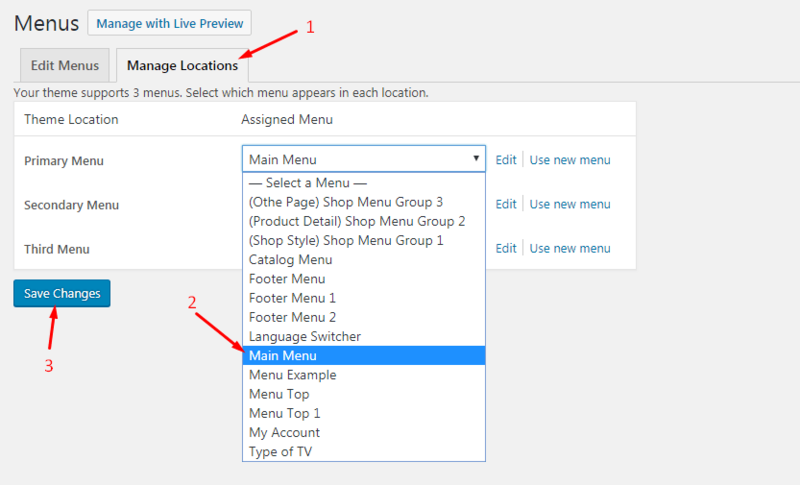 Hover on the Setting icon and select Manual Import tab. 4. Select the demo that you want to import. 5. 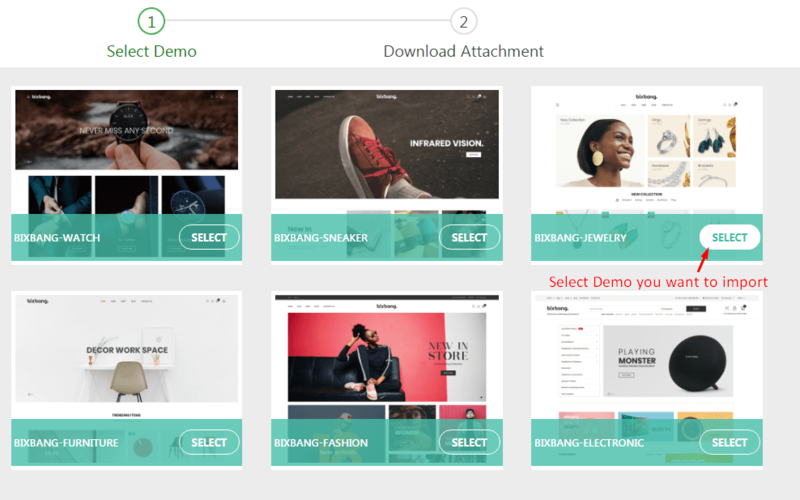 Download Attachments file by click on Download Attachments File button. 6. 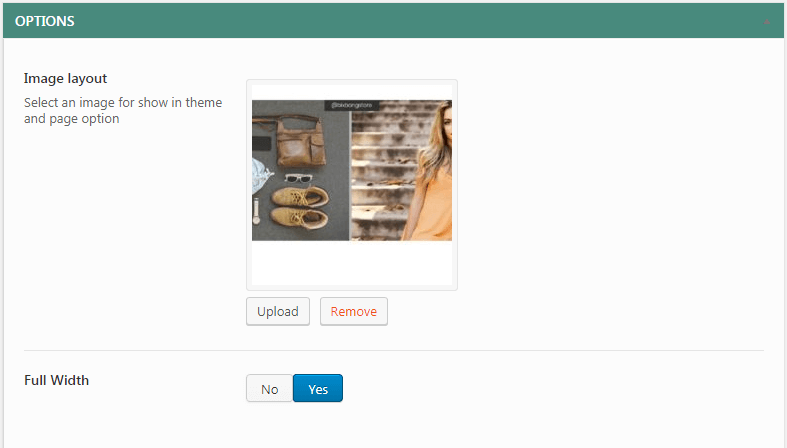 After download file, please upload and unzip file to wp-content/uploads folder. 7. 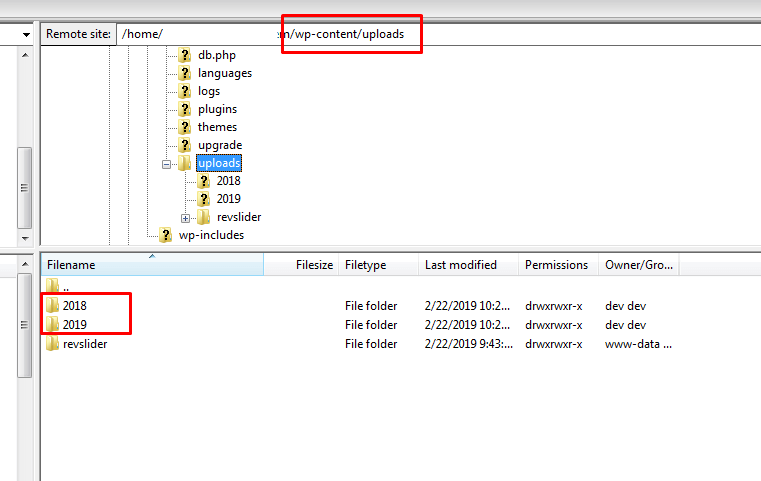 After download file, please upload and unzip file to wp-content/uploads folder. Finally, please wait for the installation process to complete. 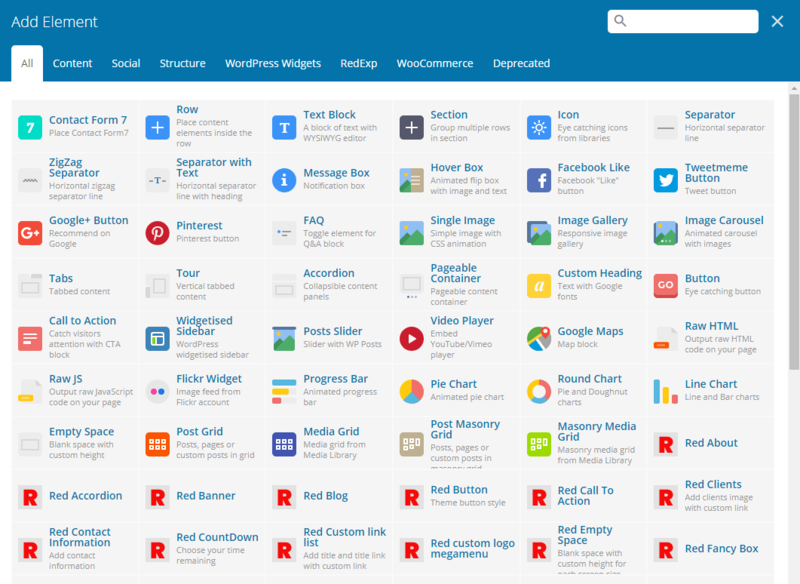 On this theme, we use the Visual Composer to build Mega menu. 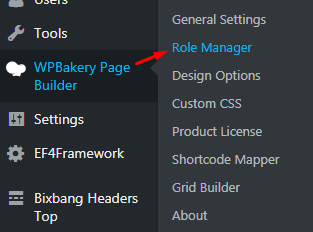 Please go to WPBakery Page Builder > Role Manager to enable WPBakery Page Builder for the Mega menu. Remember to press Save Changes below. 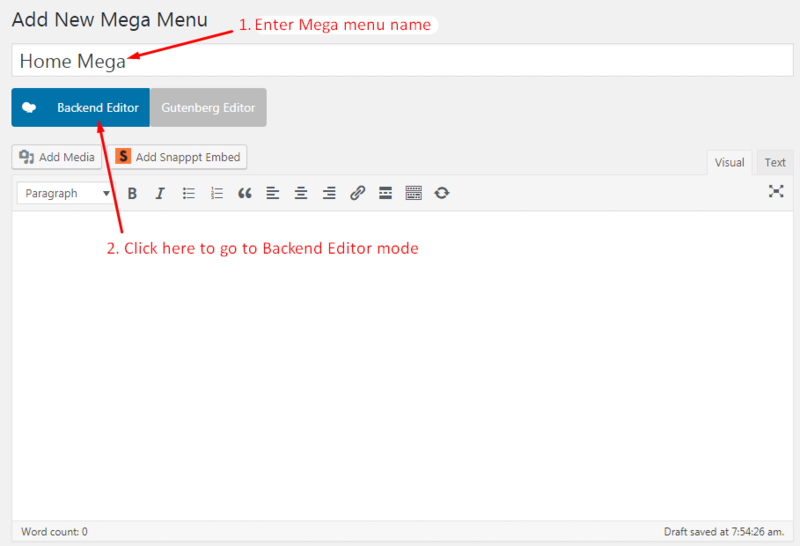 You will then encounter a setting panel for the shortcode (each shortcode has it own setting options), after a bit of configuration, it will show up nicely on your Mega menu. 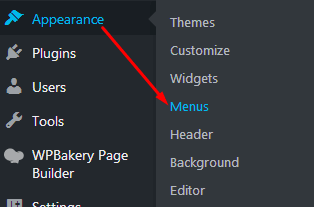 After creating the Mega menu, go to Appearance > Menu to show the Mega menu. 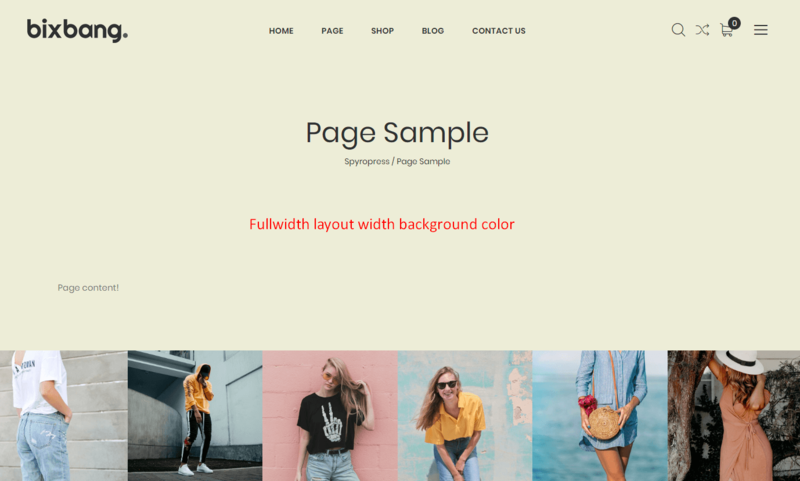 With the Page Options specially built for our themes, you can easily customize for Body, Header, Logo, Page Title & BC, Content and Footer of every page. 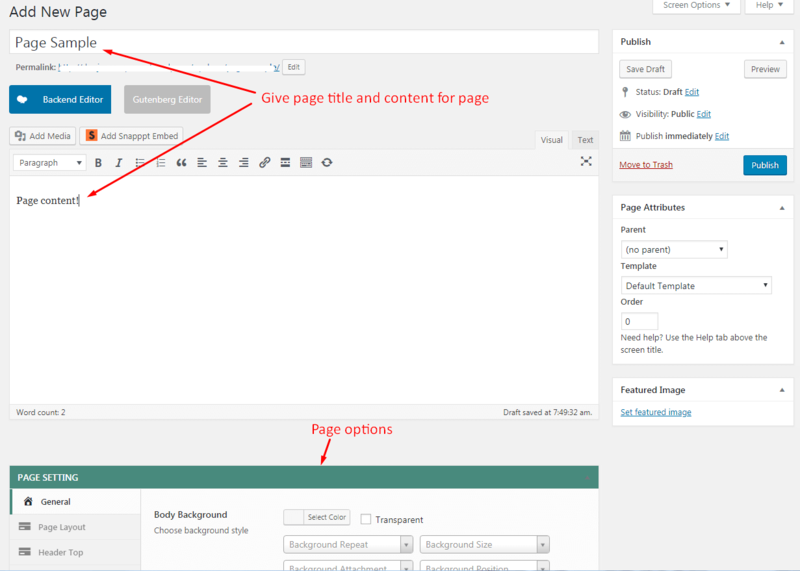 You can make page are fullwidth or boxed and set background for content and body areas. 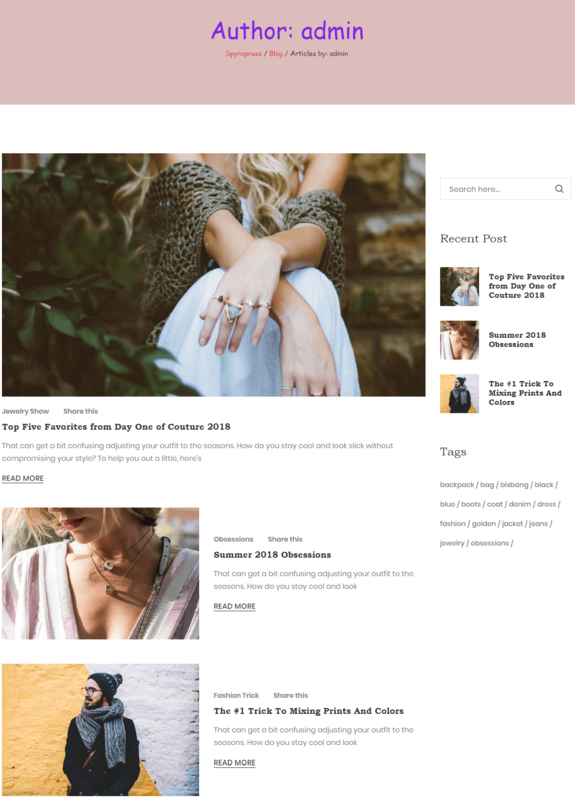 Fullwidth: the page's body occupies an entire screen width (background image is behind it and is not visible), and the content occupies the fixed width area in the center of the screen. 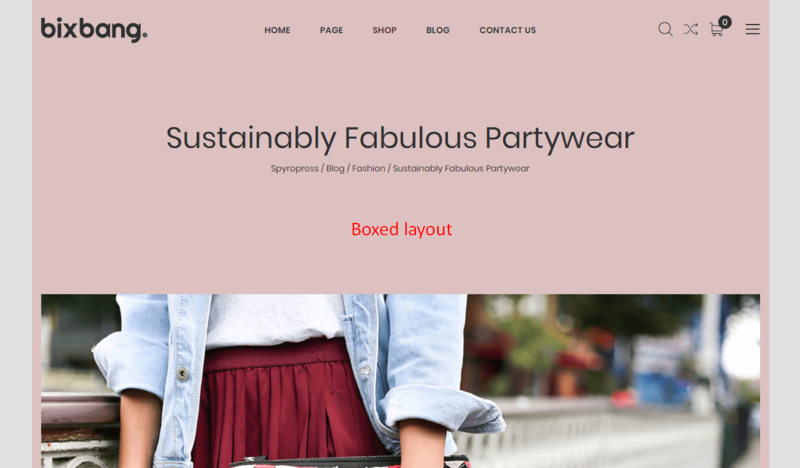 Boxed: the page's body is in the area of limited screen width, and the background image is visible. 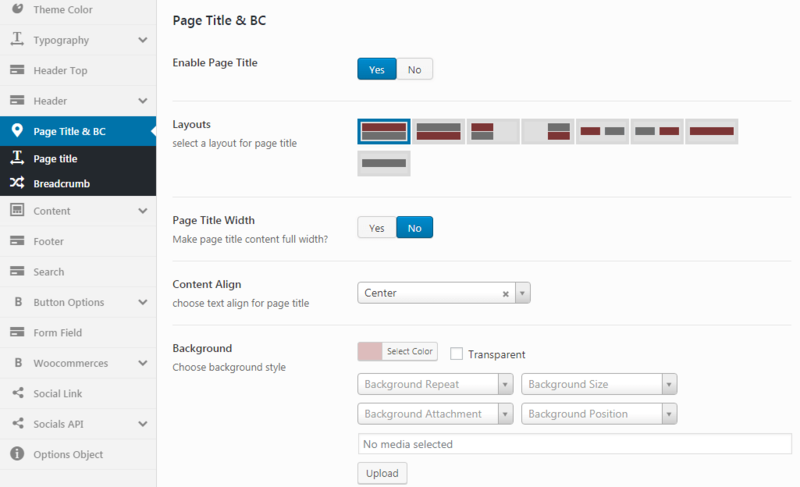 Here you can select layout for your page, left, right or no sidebar. 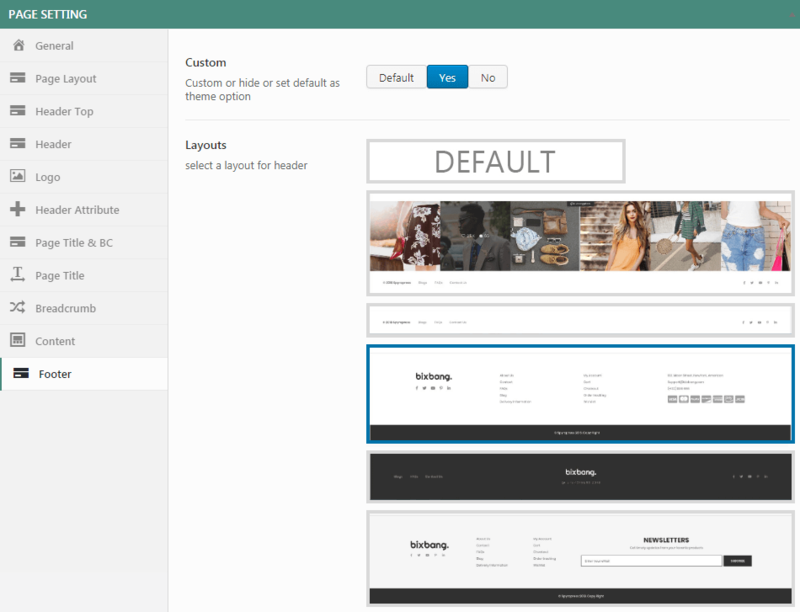 Default layout will apply from theme option. 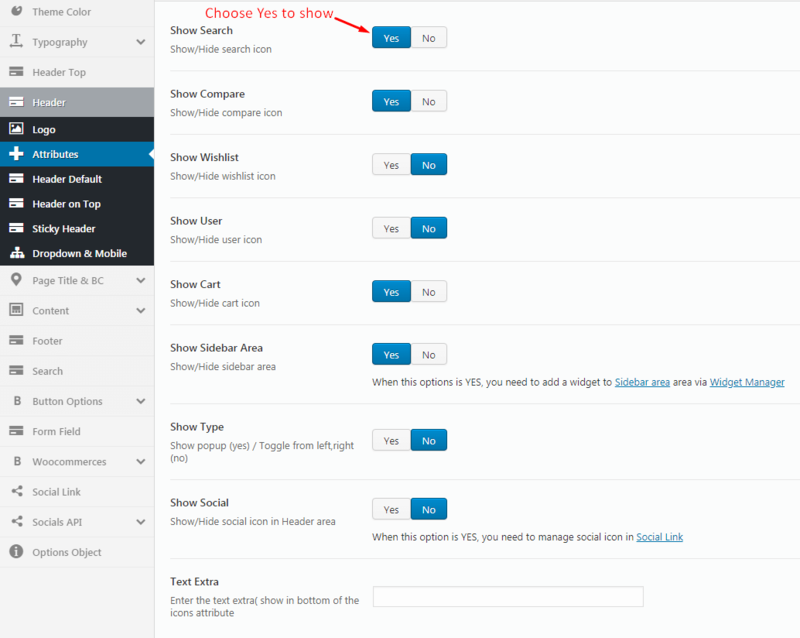 You can choose show or hide header top. 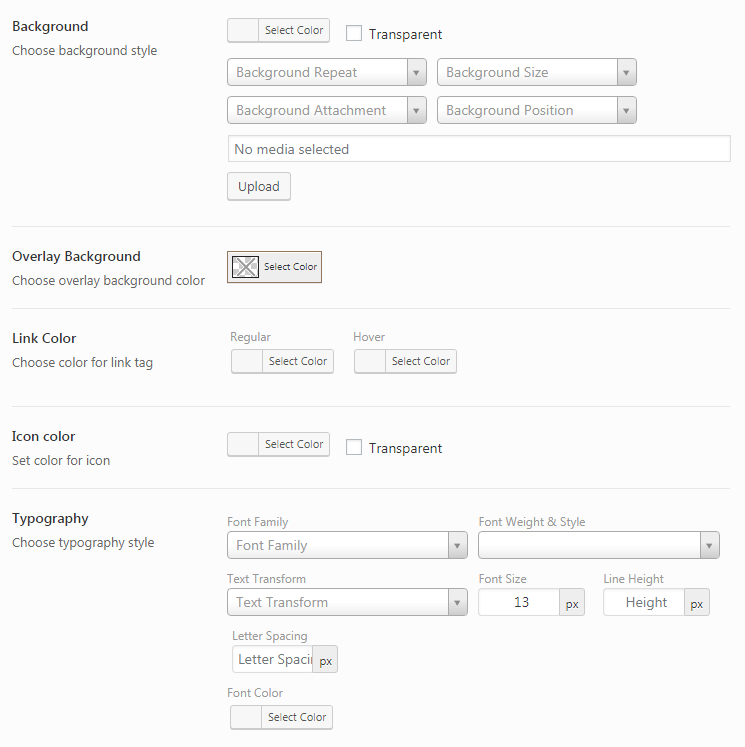 You can also custom background, color and typography for Header top. 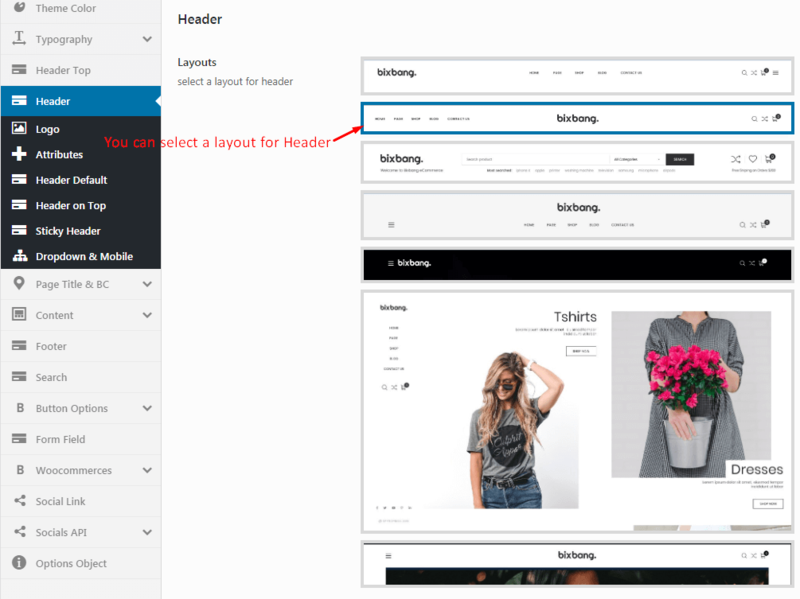 Notice: To edit Header top layouts, go to Header Top section for detail. Here you can add Logo, Sticky logo and Slogan. 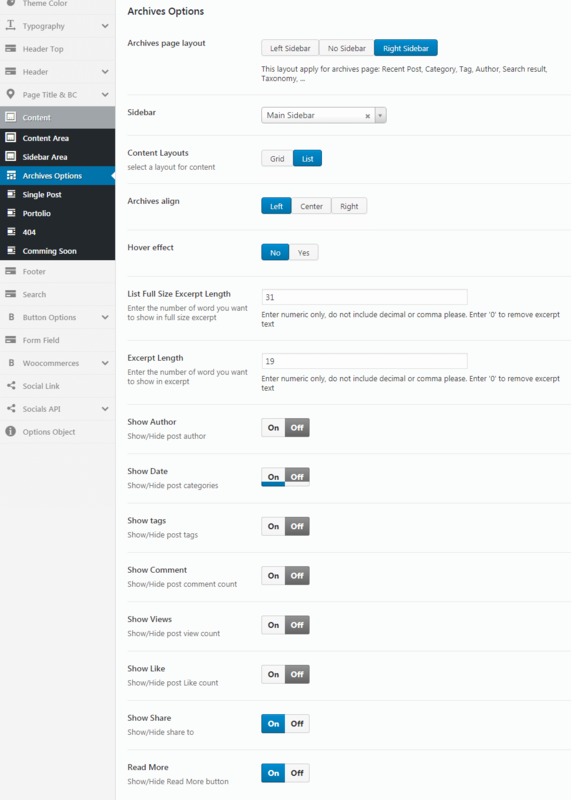 You can choose to show or hide Search, Compare, Wishlist, User, Cart, Sidebar, Social icons and Text extra on Header. 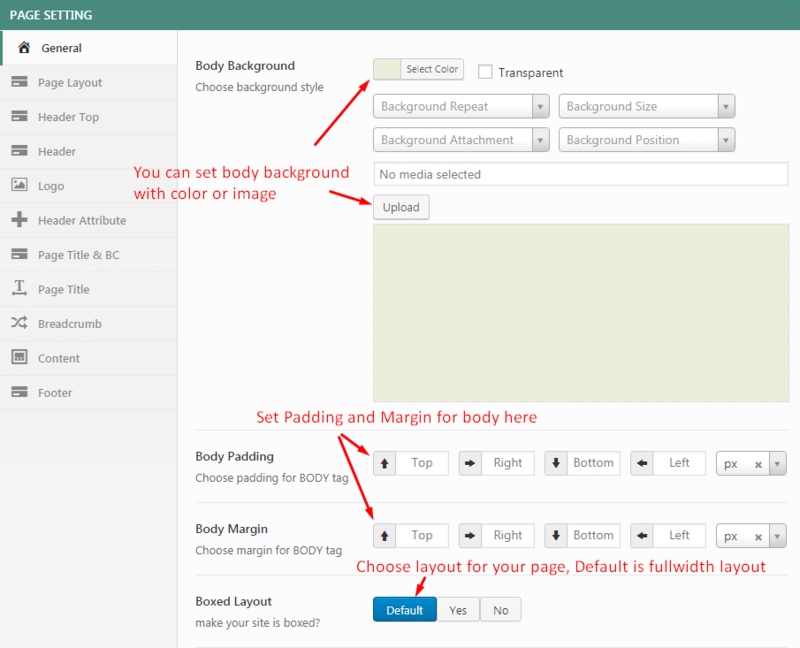 Set background, padding and margin for Page tite. 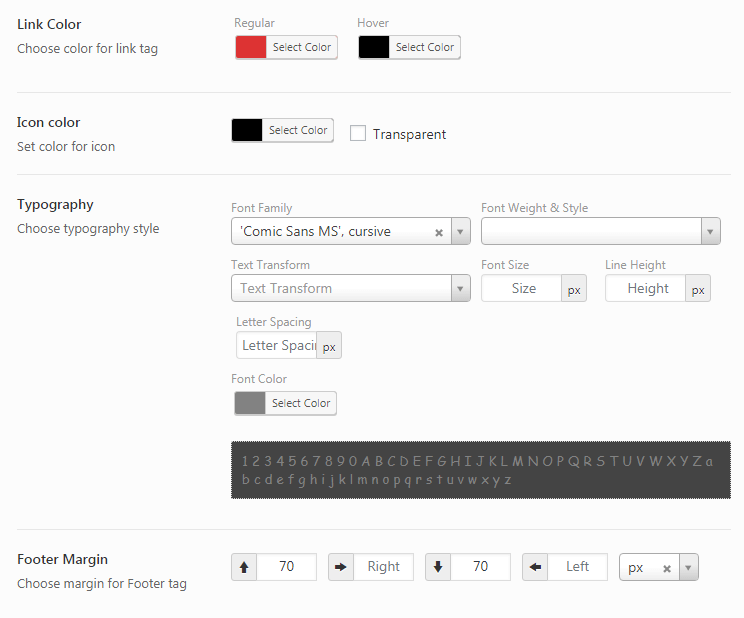 Here you can set typography and color for Breadcrumb. 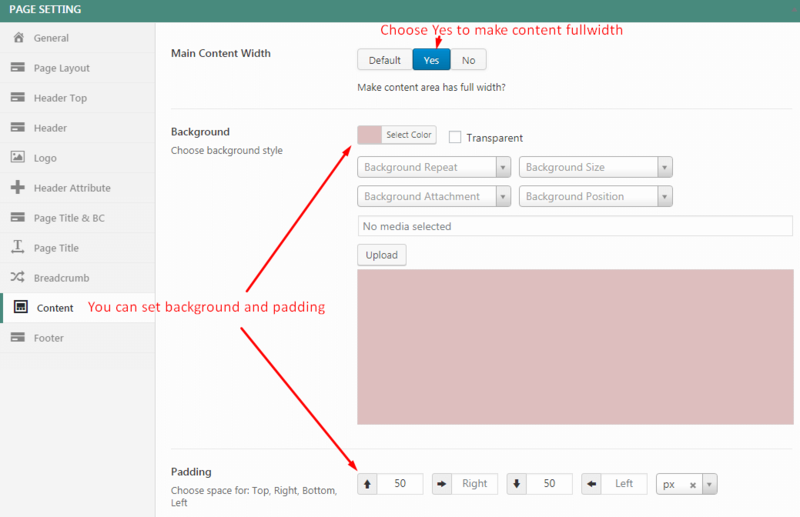 Here you make content fullwidth and set background for content area. 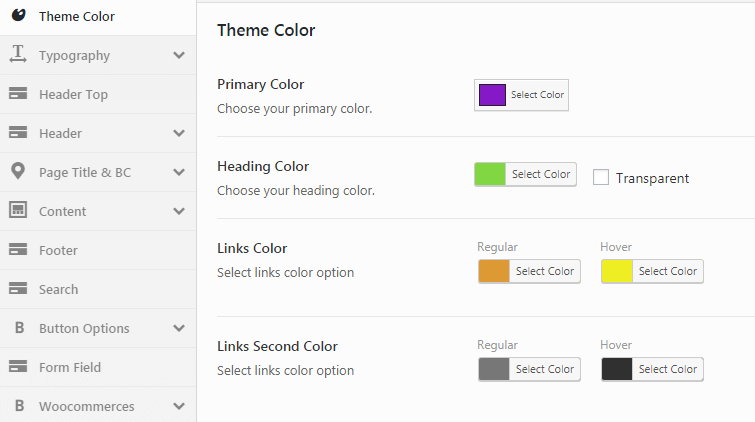 Change color for Link, icon and text. 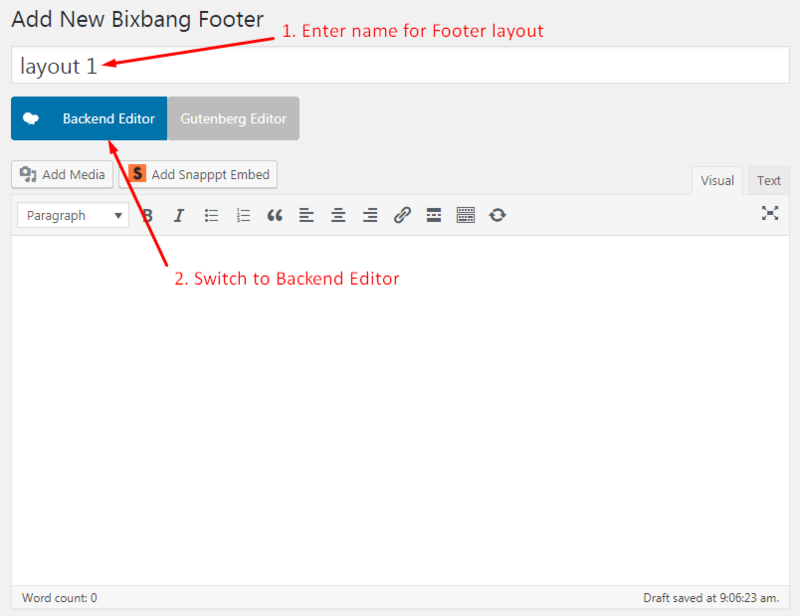 Notice: To edit Footer layouts, go to Footer section for detail. 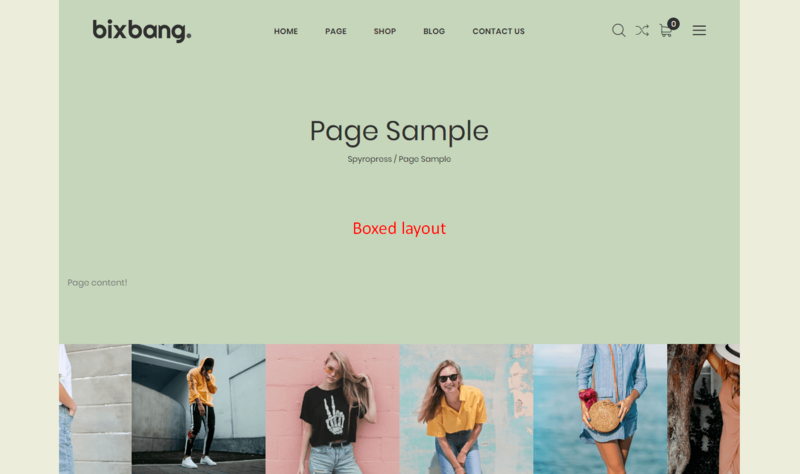 Settings of this group are responsible for selecting the way to display the homepage (front page), as a blog stream or a static one and specifying the pages to be set as a static homepage and as posts page. 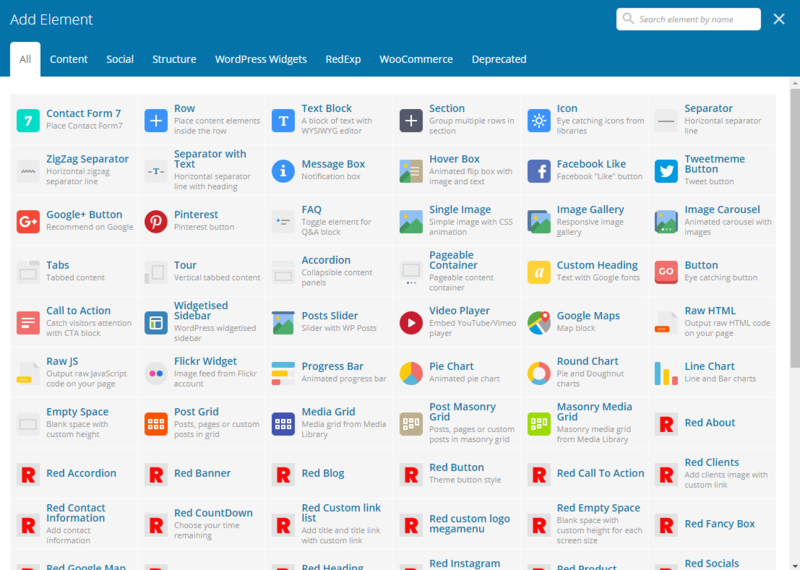 Widgets are the blocks of content that can be placed into specifically designed widget areas. 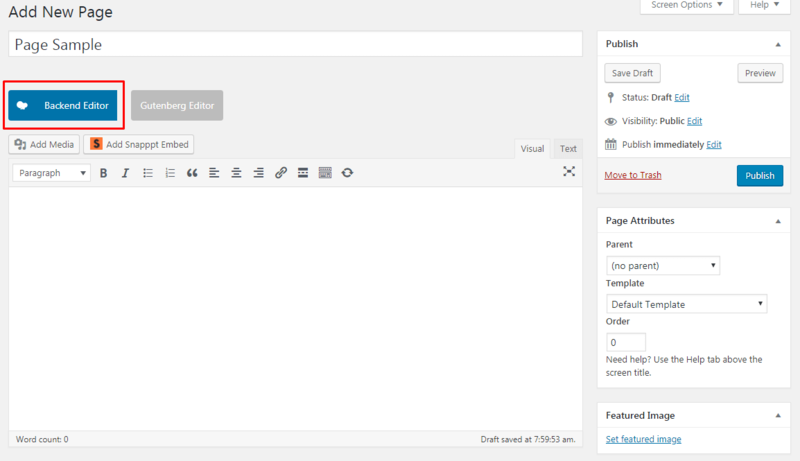 Main Sidebar: Appears on posts and pages except the optional Page Builder template, which has its own widgets. Language Currency Switcher: Appears on header top. 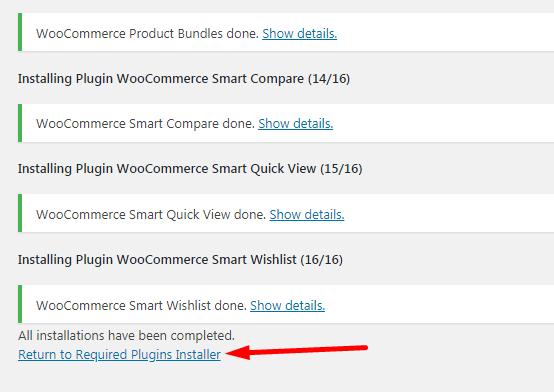 WooCommerce Sidebar: Appears in WooCommerce Archive page. User Login: Appears in header attribute icon. 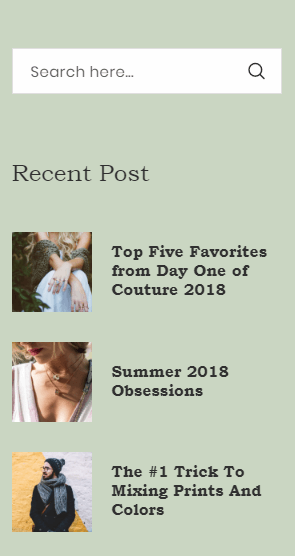 Sidebar Area Top: Appears in Left/Right handside when click Bars icon. 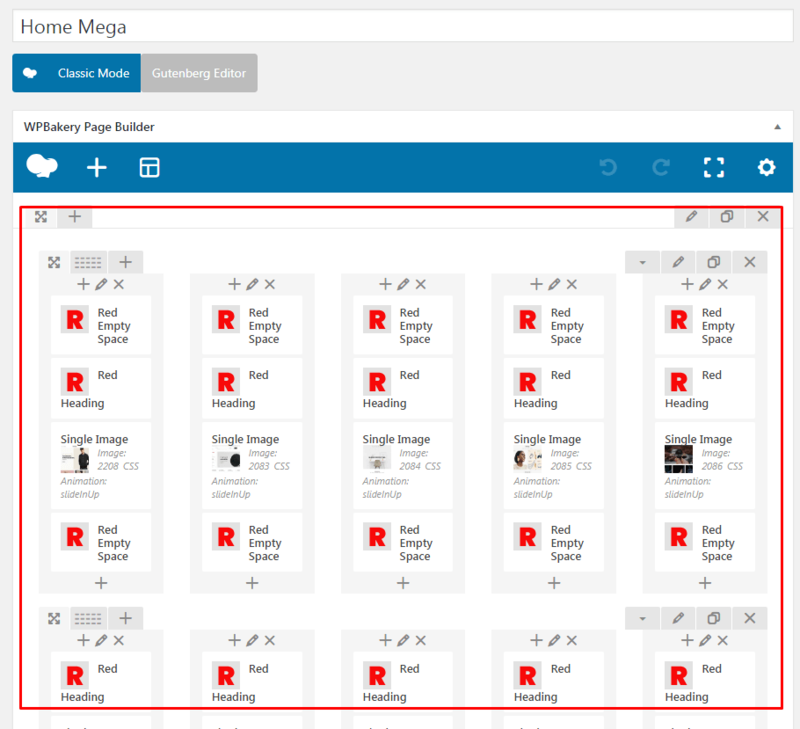 Sidebar Area: Appears in Left/Right handside when click Bars icon. 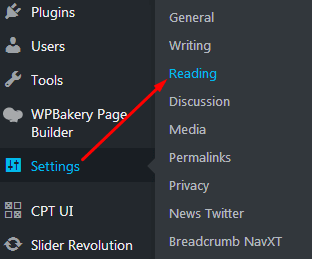 Sidebar Menu: Appears in Left/Right handside when click Bars icon. 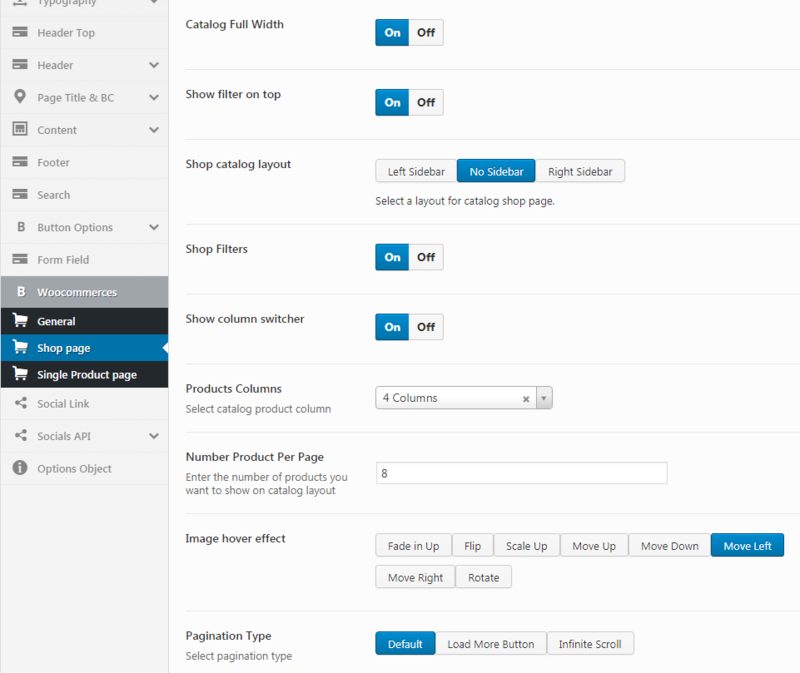 Shop Filters: Widget Area for shop filters above the products. 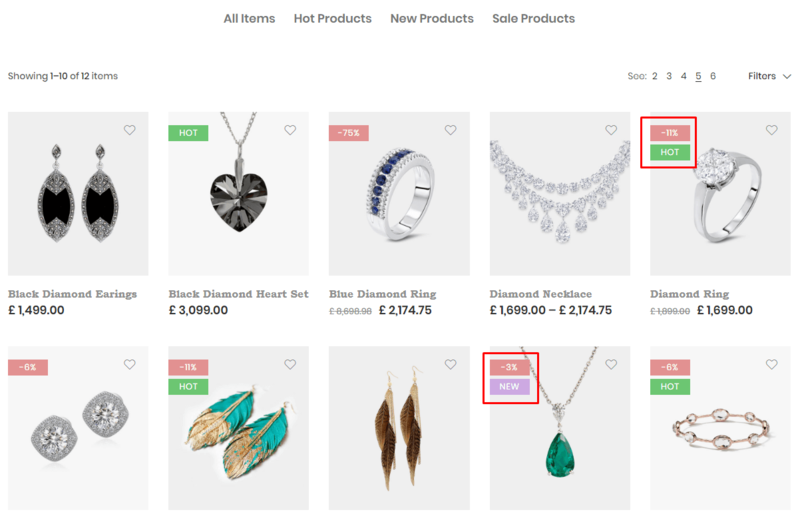 Shop Active Filters: Appears in bottom of Shop filters. 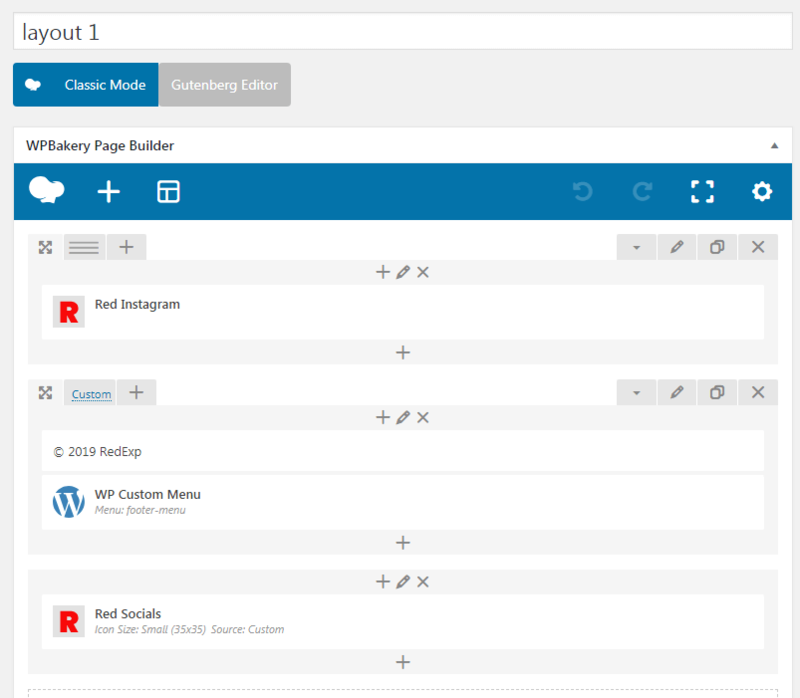 On this theme, we use the Visual Composer to build Footer. 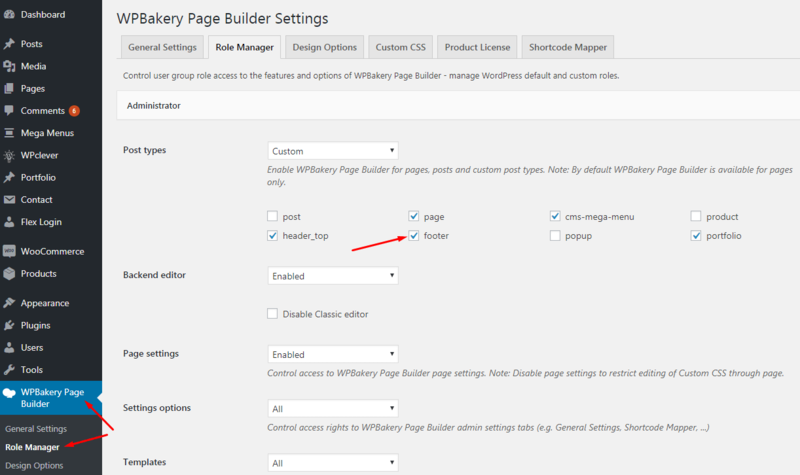 Please go to WPBakery Page Builder > Role Manager to enable WPBakery Page Builder for Footer. 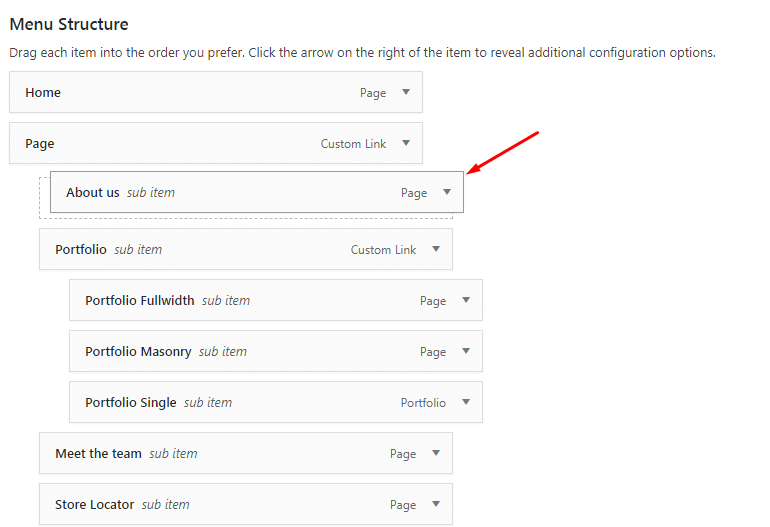 You will then encounter a setting panel for the shortcode (each shortcode has it own setting options), after a bit of configuration, it will show up nicely on your Footer. 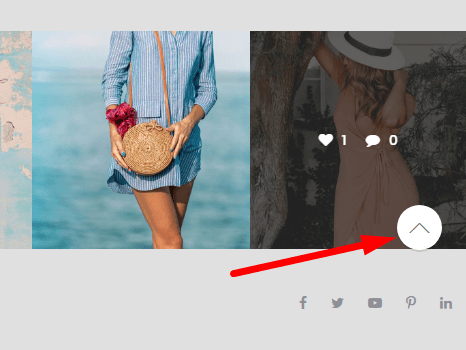 In the Options tab, you can add an image to show in theme and page option. 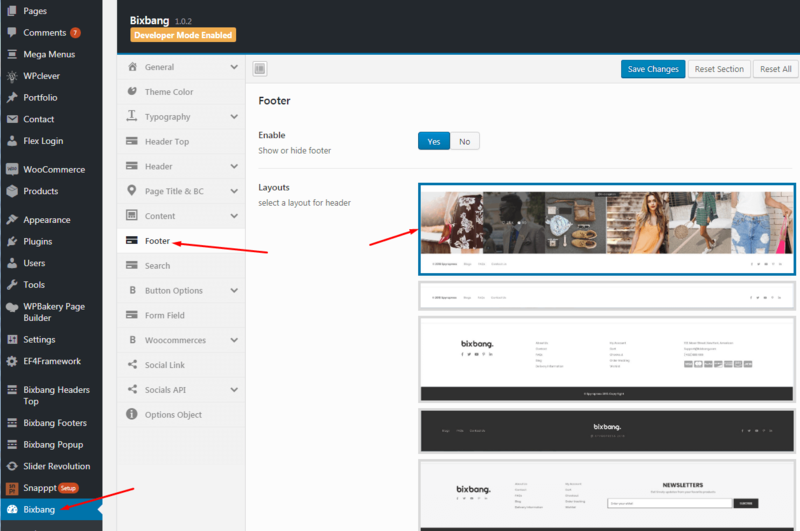 After creating the footer layout, you can go to Theme or Page option to see and select it to show. 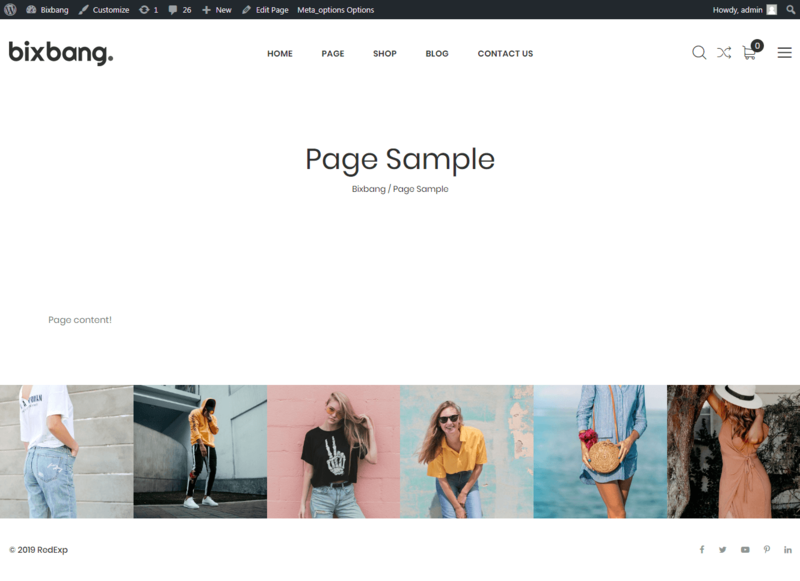 On this theme, we use the Visual Composer to build Footer. 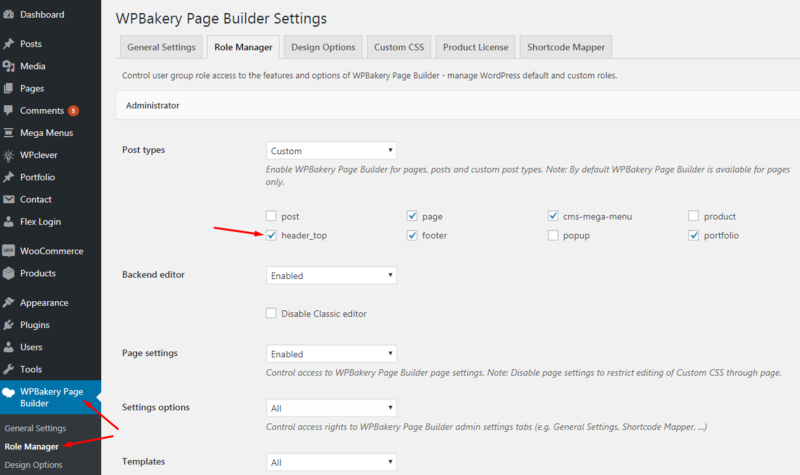 Please go to WPBakery Page Builder > Role Manager to enable WPBakery Page Builder for Header top. 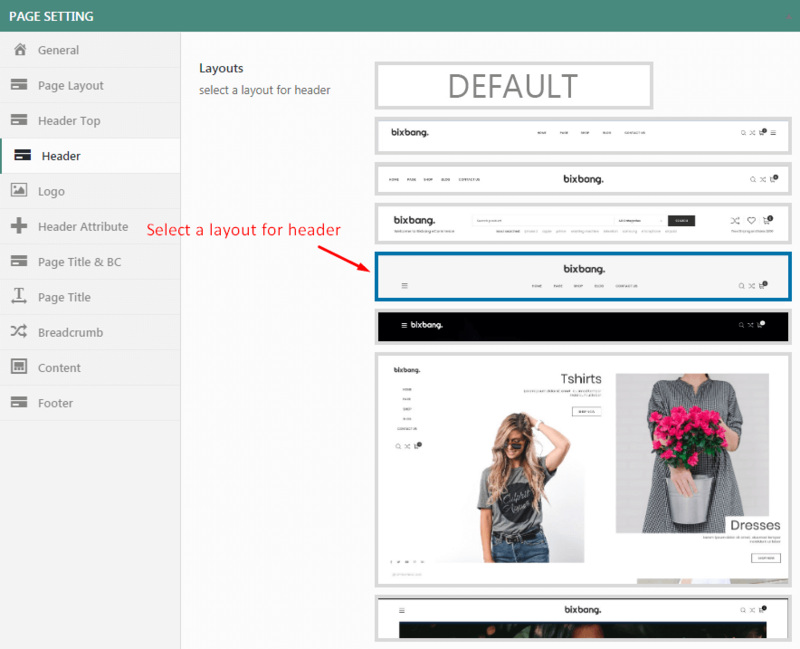 You will then encounter a setting panel for the shortcode (each shortcode has it own setting options), after a bit of configuration, it will show up nicely on your Header top. After creating the Header top layout, you can go to Theme or Page option to see and select it to show. 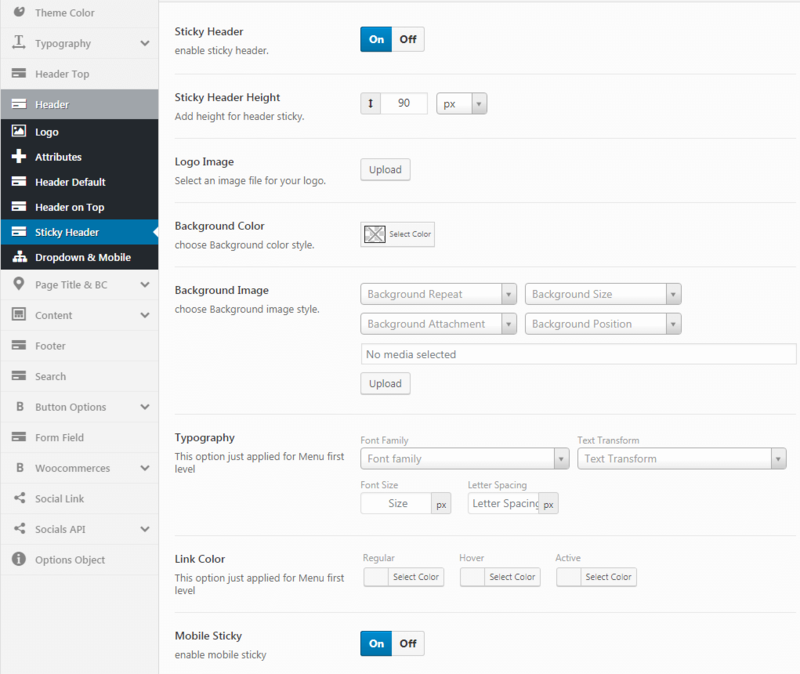 The options panel is home to all of the theme's extensive configuration options. 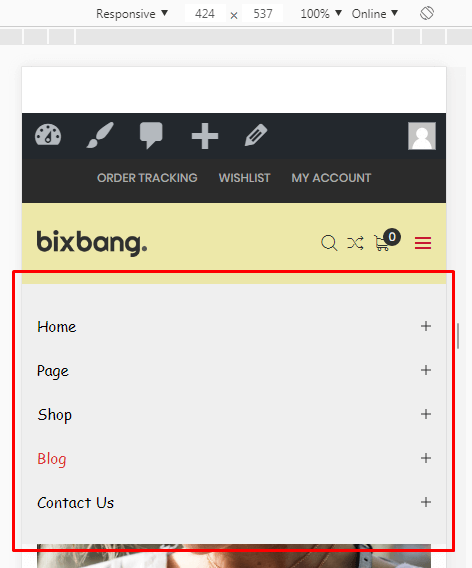 To view the panel, click on Bixbang in the left-hand menu. Here you have the ability to alter many core aspects that make up how your theme looks and behaves. Any of the options that have some ambiguity to them conviently have descriptions to explain their purpose. 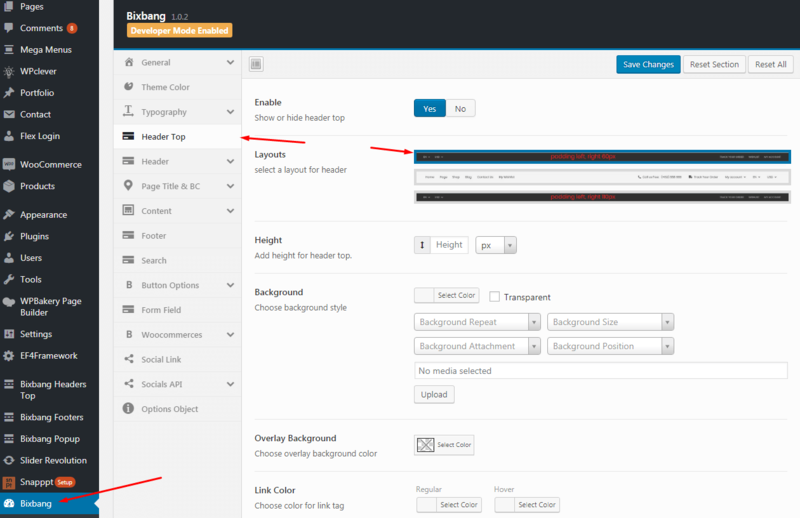 Theme Options is the main section of Bixbang, which you can do your global settings for your website. 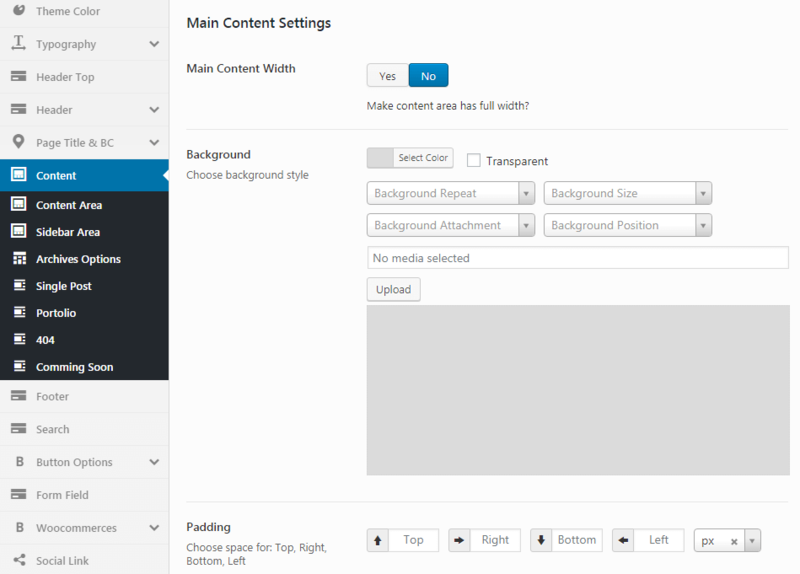 You can access Theme Options from top left side of your dashboard. 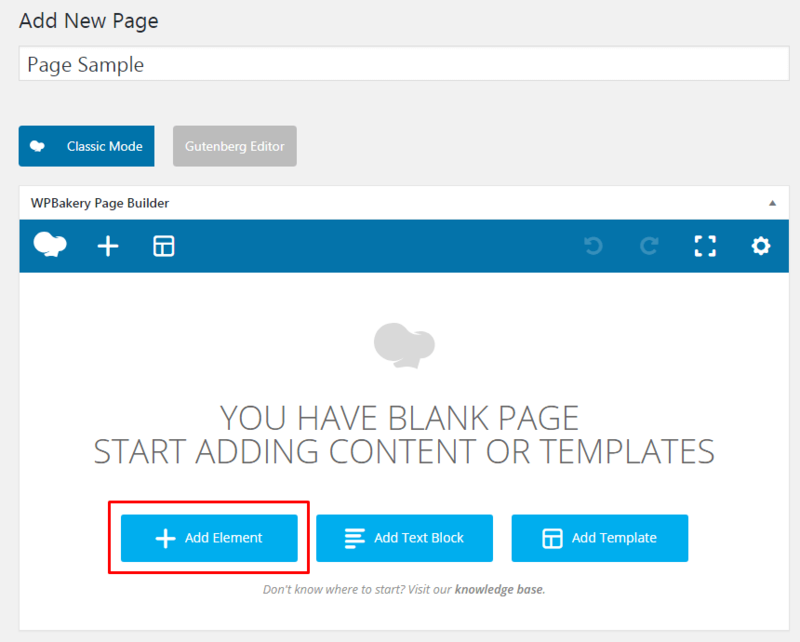 We are going to describe about General Settings options available under Bixbang > General section of Theme Options in this article. 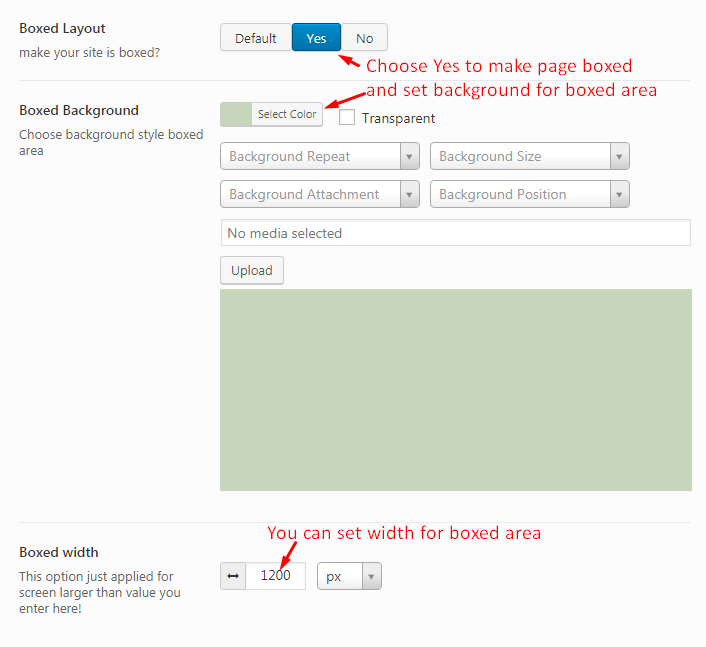 You can set Body background and make site is boxed or fullwidth. 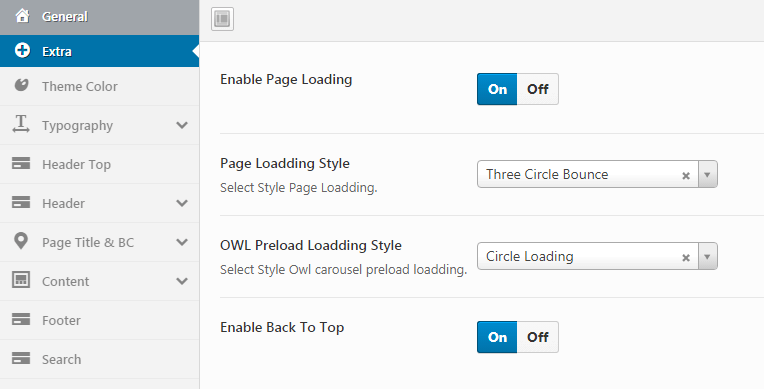 You can select style of Page loading and enable or disable Back to top button.  The Page loading show when you reload website. 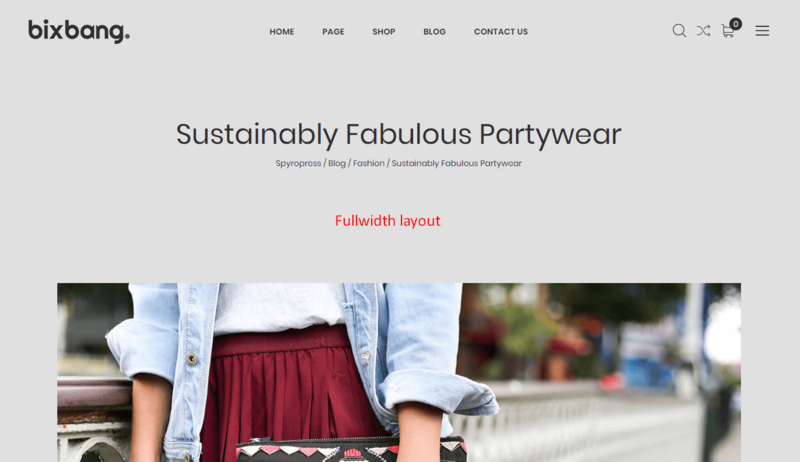 Font family, weight, style, size, line height, letter spacing and font color. 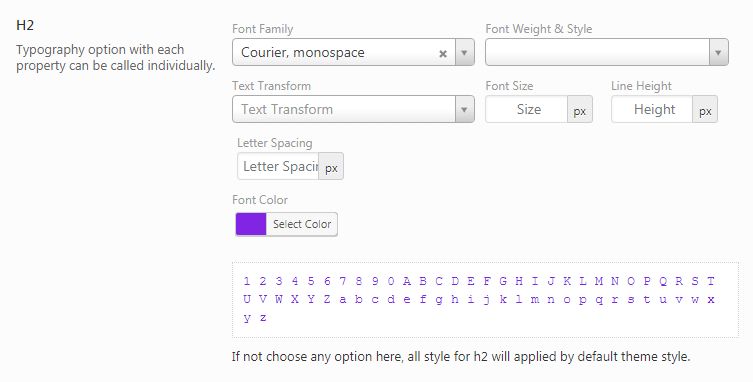 Font family, weight, style, size, line height, letter spacing, header margins, and font color options for headers H1-H6. Example for Heading 2 tag. On this section, Bixbang theme had some available fonts for you. 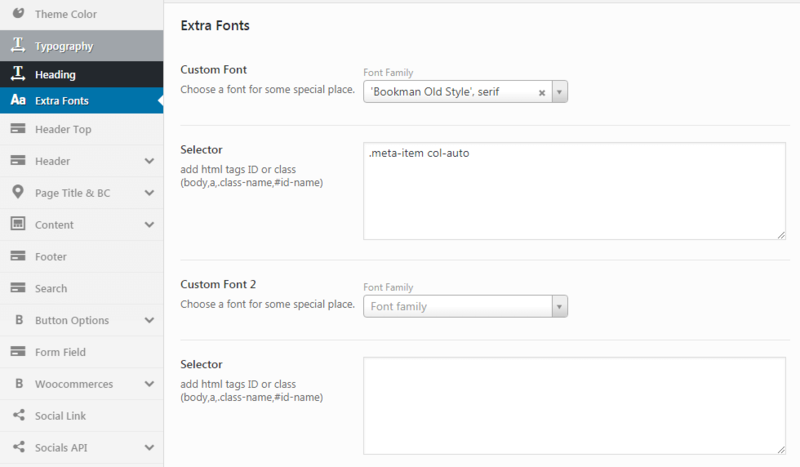 If you want to set a special font for a special class, you only need to insert your class into Selector section, and choose the font that you want on the Font dropdown box. Finally, you click Save changes and see your result, all completed. 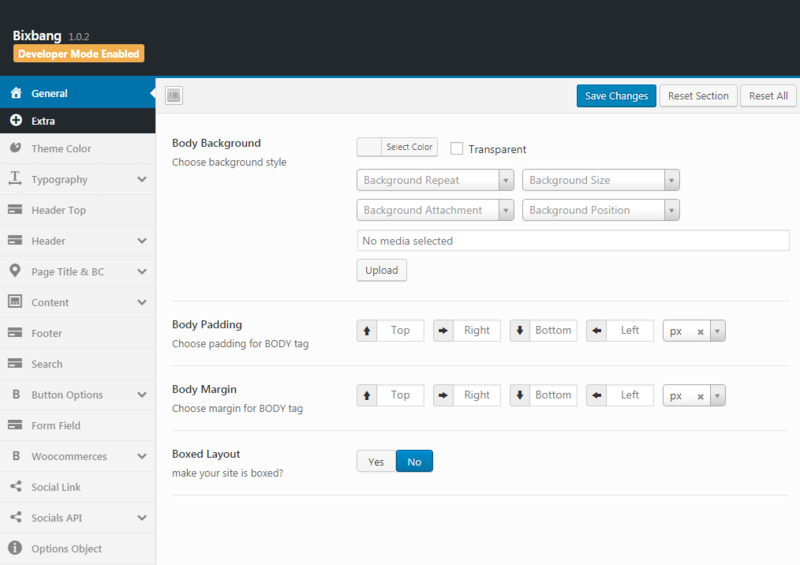 Here you can config layout, height, typography, background and link color for your header top. 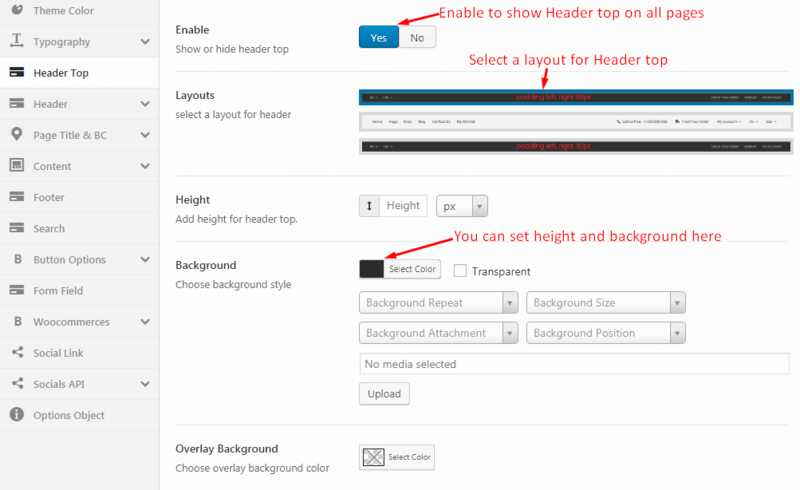 You can make header fullwidth or boxed. 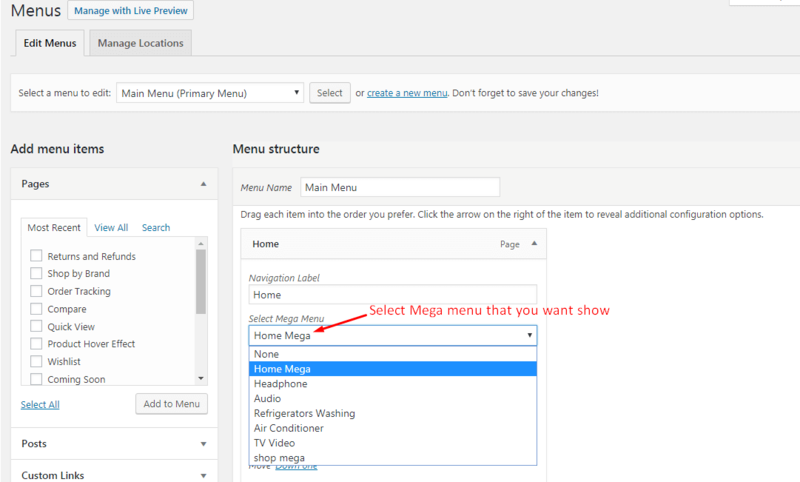 Mega Menu: To edit Header top layouts, see How to edit mega menu tab for detail. 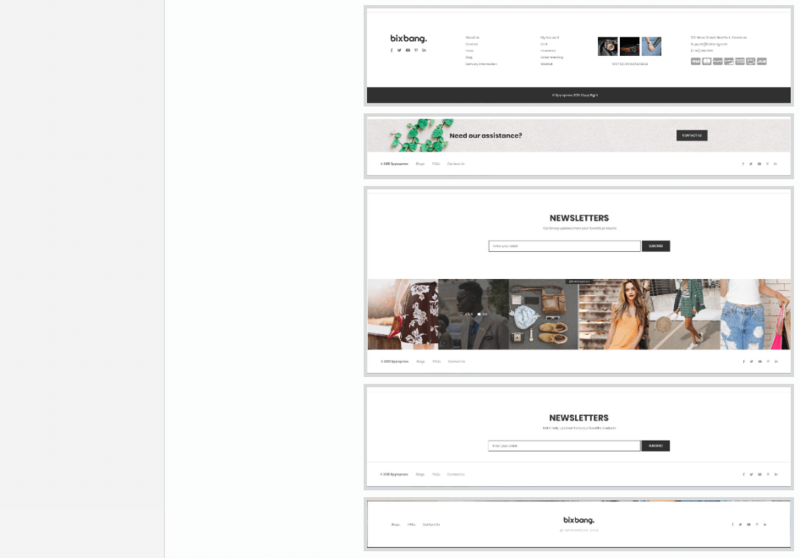 Select logo and set logo width, height for your site. 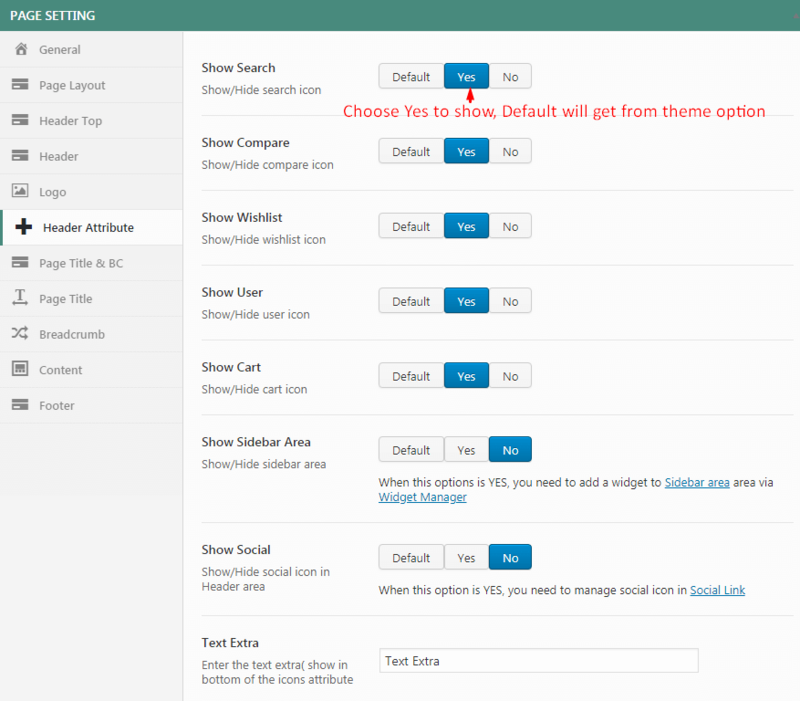 You can choose show or hide Search, Compare, Wishlist, User, Cart, Sidebar, Social icons and Text extra on Header. 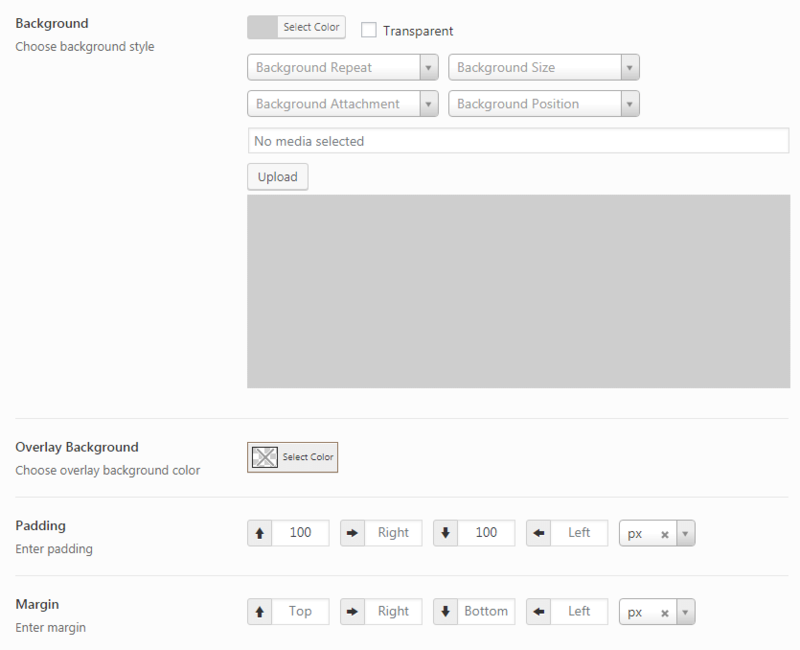 Here you can set background color, typography and link color. 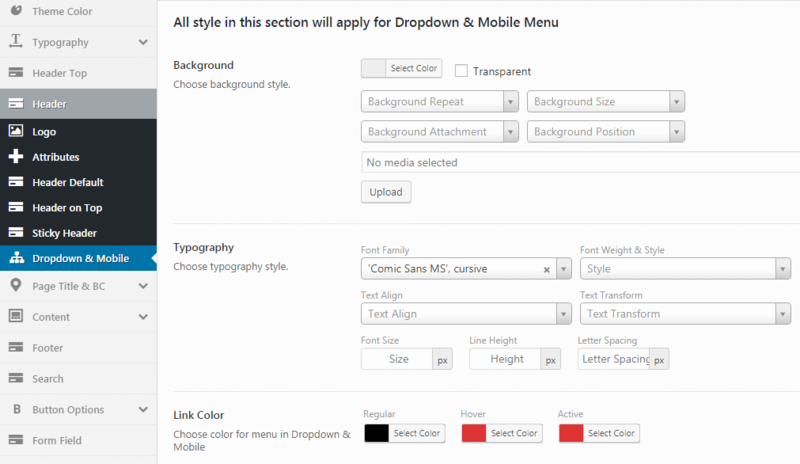 Here you can set logo, background color, typography and link color for Header on top. 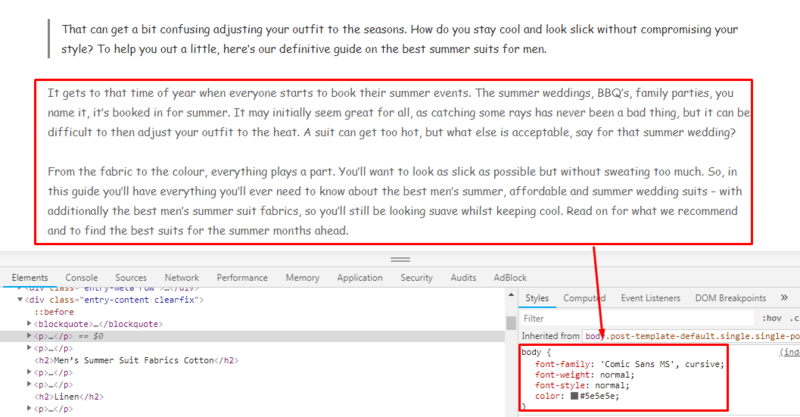 Sticky header will show when you scroll down. 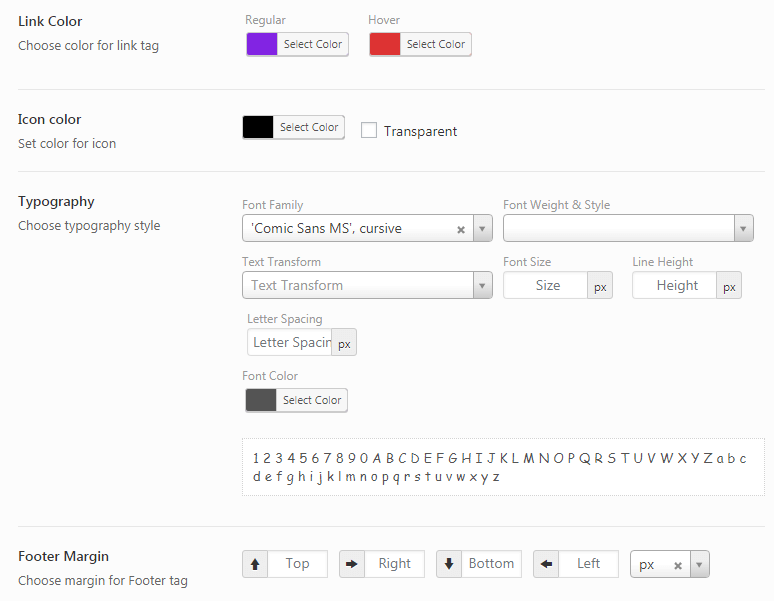 Here you can enable Sticky header and set height, logo, background, typography and linh color. 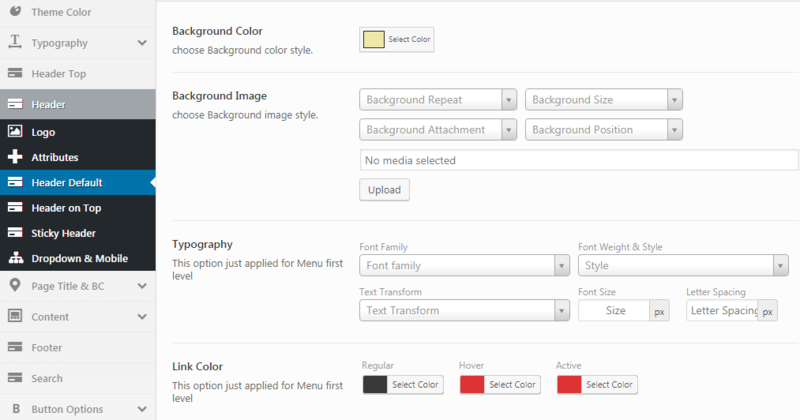 The below are options config color for sub-menu and mobile menu. 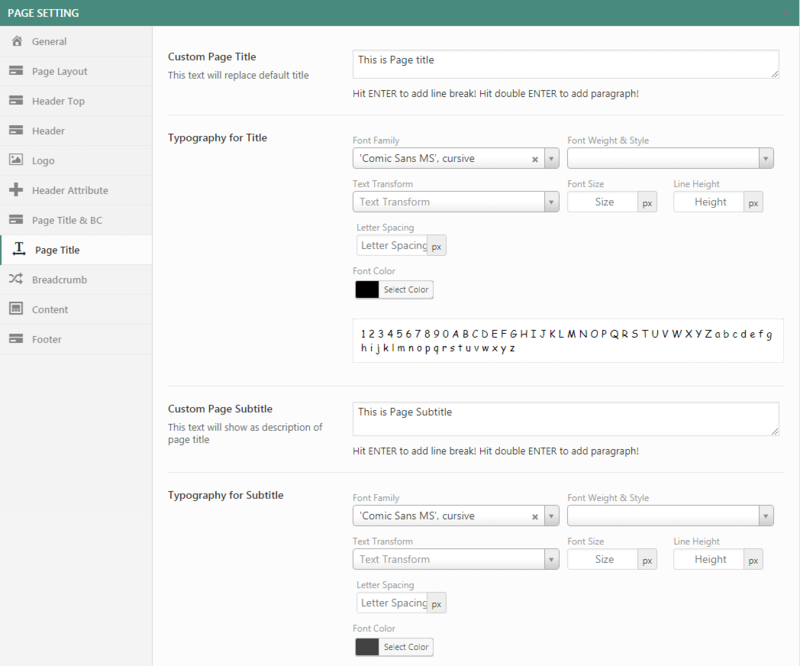 Select Style, layout and background for page title. 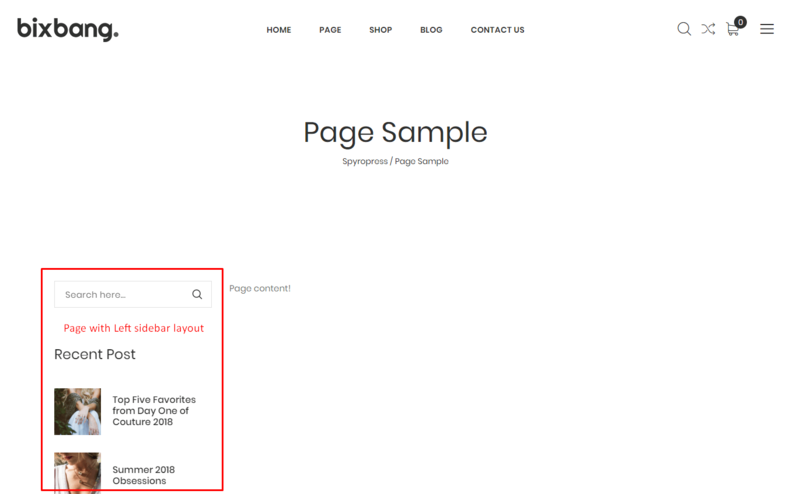 Page title typography: Select typography for Page title. 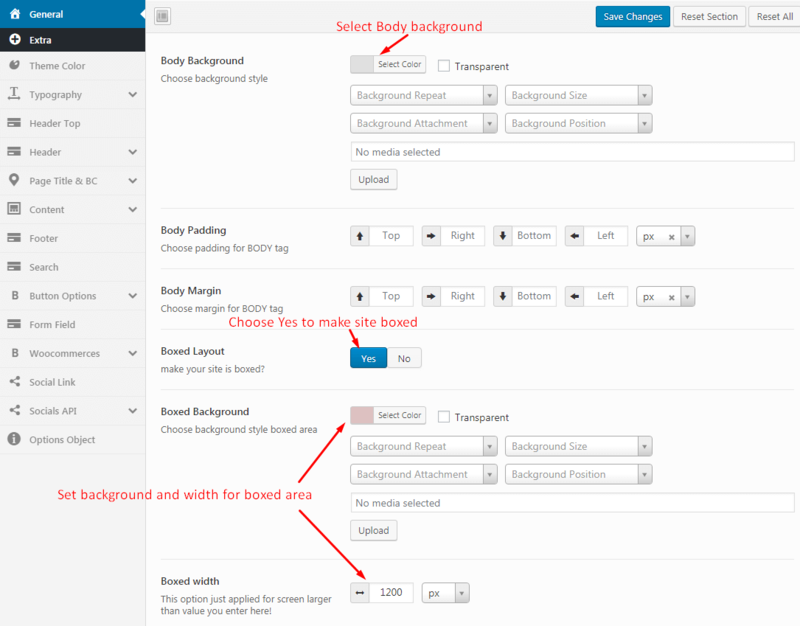 Here you can set background and padding for all pages. 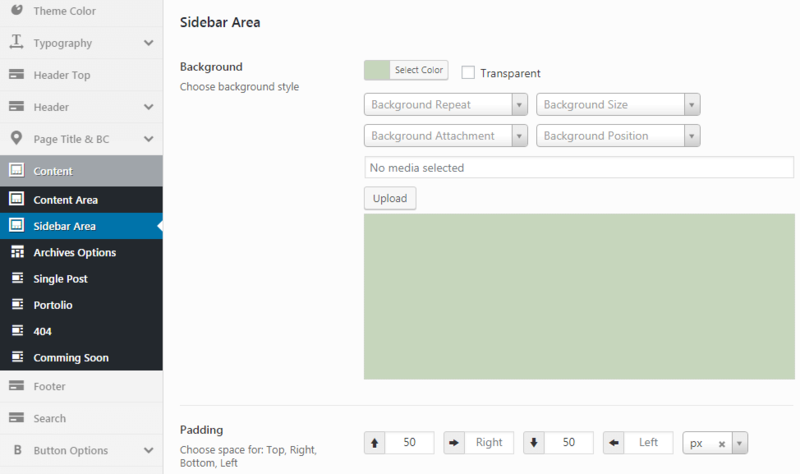 Here you can set background and padding for Sidebar Area. 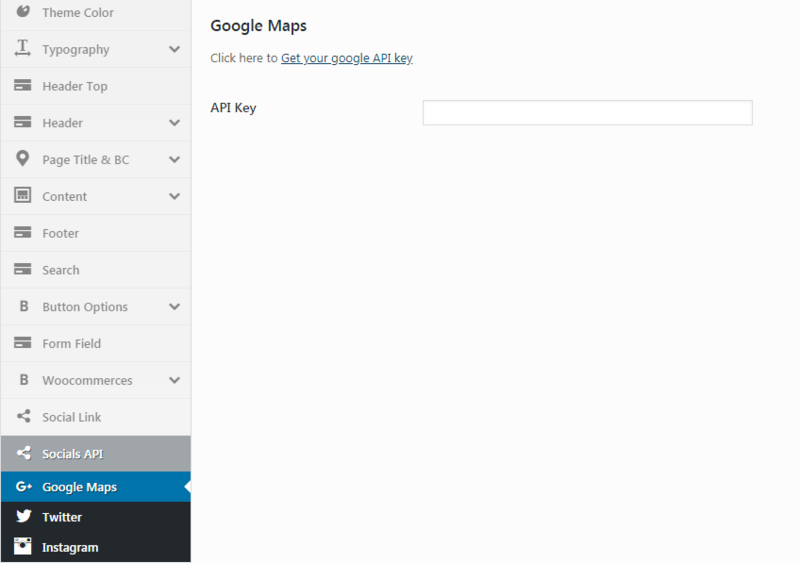 Here you can config for archive, search, index... pages. 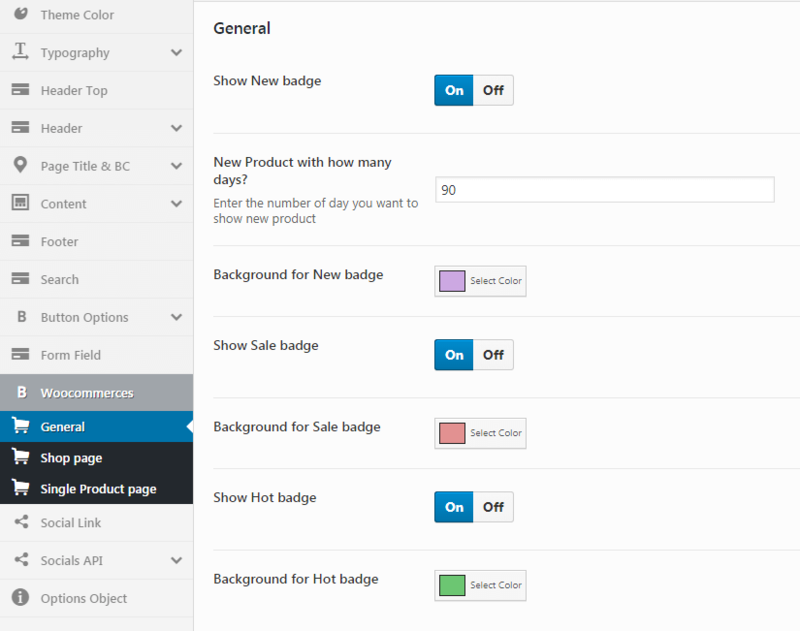 Here you can choose show or hide New badge and set background for New, Sale and Hot badge. 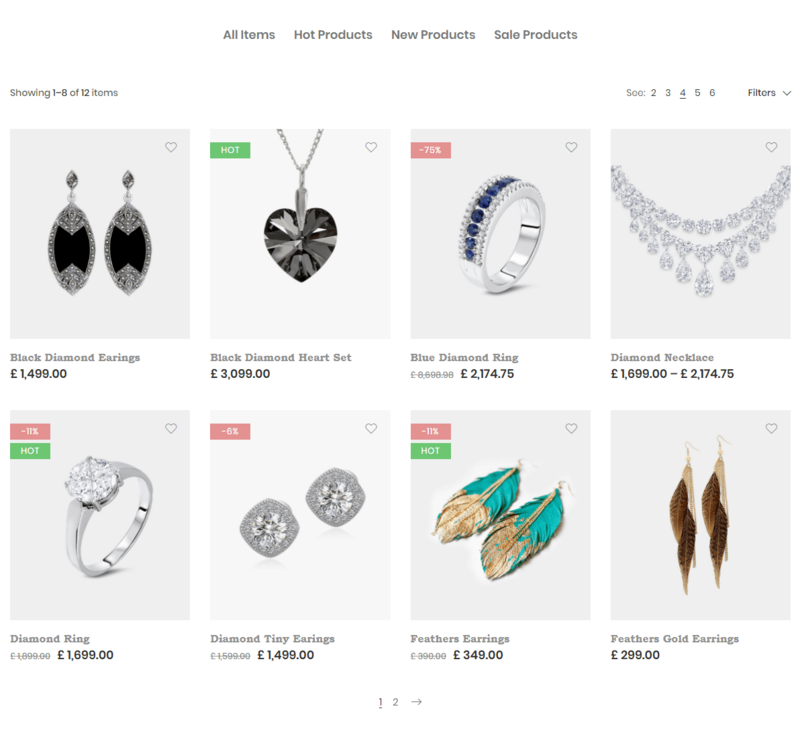 Select layout, product column and product number to show on Shop catalog page. 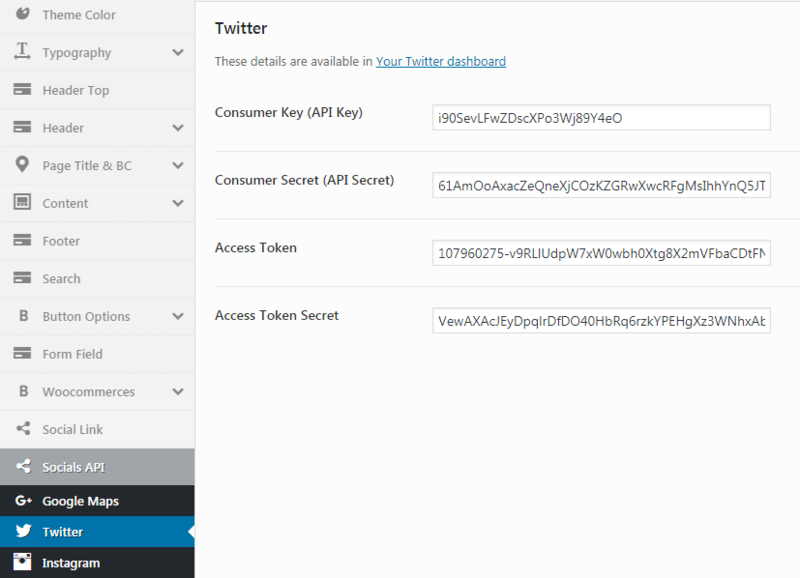 Add you twitter API key. 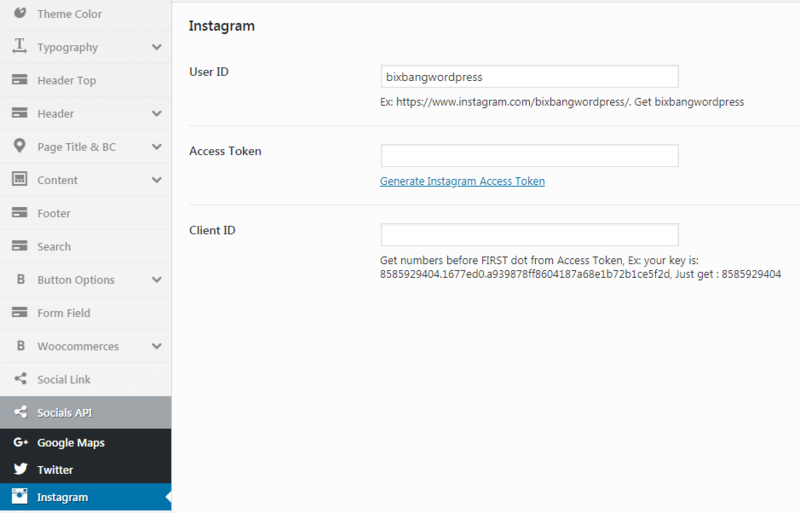 Add your user id to show on Home Instagram page. 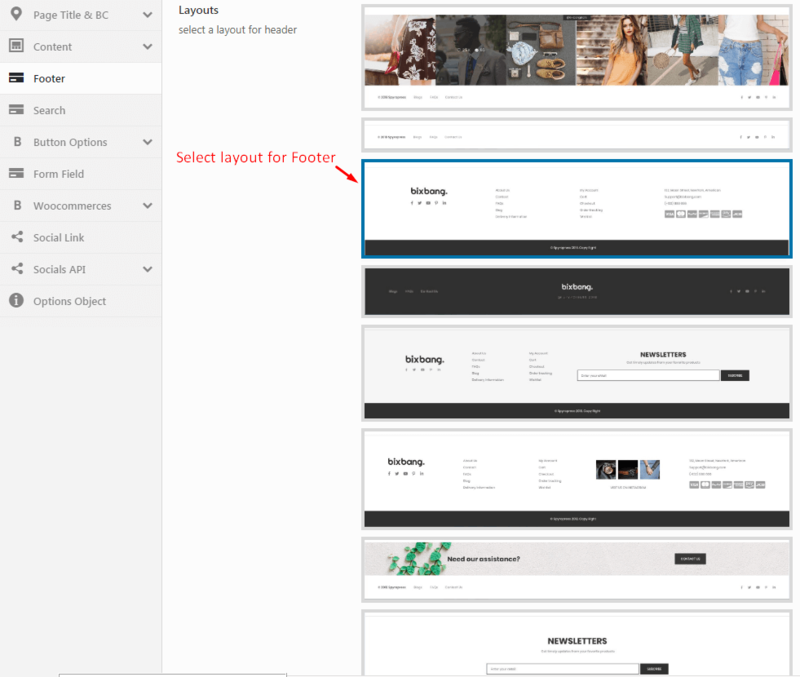 Footer Layout: You can select layout, set background, color and margin for Footer. direct at Forum: Redexp Forum.